The end of WWII had left the United States and the Soviet Union as the two global superpowers, and Korea, a Japanese protectorate, was far down their respective lists of priorities. Pre-occupied with imposing control on Eastern Europe, the Soviet Union simply wanted to ensure that Americans troops were not stationed near its borders, so the 38th Parallel was selected as the dividing line between the Russian and American occupation forces. Unwilling to navigate the mix of political factions, the active support of the American occupation forces ensured that American-educated Syngman Rhee was elected president of the Republic of Korea (ROK). Kim Sung-il, who had served with the Red Army during WWII, became the Soviets’ candidate in North Korea. Both Rhee and Kim wanted to reunify Korea by force and believed that the other side would fall easily, but their respective backers had different approaches. Aware that Rhee would provoke a war if permitted, the United States had refused to provide the ROK army with planes, tanks and artillery. However, Stalin approved Kim’s invasion plan, supplying the North Koreans with generous quantities of planes, tanks and artillery. When the North Korean People’s Army (NKPA) crossed the border on June 25, 1950, its large, well-trained army steamrolled through the unprepared ROK forces. Believing that remaining neutral would be interpreted as weakness by the Soviets, President Harry Truman won the support of the United Nations for the defense of South Korea, assigning the military response to General Douglas MacArthur, commander of the American occupation forces in Japan. Nearly bankrupted by the massive expense of WWII, the American army had been allowed to decline, while reinforcements were sent piecemeal, so the NKPA had gained control of all of Korea by August except for a small perimeter around the port of Pusan. The NKPA had already burned itself out with repeated frontal attacks when an amphibious landing at Inchon caught the North Koreans completely by surprise. Seoul was recaptured on September 25, and the NKPA began to disintegrate. Deciding to reunify Korea by force, an overconfident MacArthur dismissed China’s warning that it would not permit American troops near the Yalu River, the border between China and North Korea. The entry of hundreds of thousands of Chinese ‘volunteers’ into Korea in late November transformed the war. After a series of Chinese offensives and American counter-offensives, the lines had stabilized near the 38th Parallel by mid-summer 1951. Using negotiations as a cover, the Chinese had fortified their lines, thus negating the American advantages of aerial and artillery superiority. The negotiations dragged on until mid-1953 because the Chinese and NKPA would not accept the right of Chinese and North Korean PoWs in UN custody to refuse repatriation to their home countries. Located between two powerful empires, Korea had tried to play off the Japanese against the Chinese, but Japanese victory in the Sino-Japanese War of 1895 ended China’s status as a deterrent. Russia’s involvement gave Korea nearly a decade more of independence until Japan defeated Russia in 1905, officially becoming a great power. Korea became a Japanese protectorate, and traveling in the wake of the Japanese army was a wave of officials and immigrants who built railroads, roads and schools. When WWII ended sooner than expected, the Russians and Americans divided the world between them, and Korea was low on their lists of priorities. Busy imposing its will on eastern Europe, Russia simply wanted to ensure that American troops were not based on its border, so it accepted the 38th Parallel as the dividing line between their areas of occupation. Refusing to become involved with any of the Korean political groups, the American occupation force relied on Japanese officials. It may seem strange that American soldiers were cooperating with their hated enemy but they knew the Japanese, they were tired of fighting and they simply did not care about the Koreans. Most important, the Japanese were efficient, while the Koreans were divided into a bewildering mix of rival factions. Koreans would not forget that the Americans had cooperated with the despised Japanese occupiers. Half of the leadership of the Korean People’s Republic (KPR), a group of Korean nationalists, had been imprisoned by the Japanese, but roughly half were considered to be leftists or Communists. Instead, the Americans preferred the Korean Democratic Party (KDP), a smaller conservative group, since many of its members had been educated in the United States or in Korean schools run by American missionaries. The conservatives wanted Syngman Rhee to be their leader. Although he had chosen to lobby for Korean independence in the United States, where he had lived for thirty-five years, rather than actually fight in Korea, he was a determined patriot. Easily-offended and unwilling to compromise, he was still the most popular Korean leader among the Americans, who wanted to simplify their dealings with the Koreans by choosing one man to run the country, rather than waste time trying to navigate the complex Korean factions. 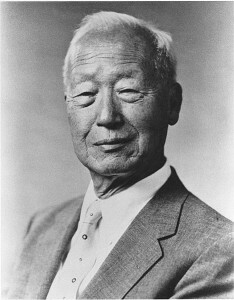 With the clear support of the Americans, Rhee’s political career progressed quickly after he returned to Korea in October 1945. Although the United States government had sworn to avoid taking sides, it feared that Koreans could not be trusted to choose democracy over communism on their own, so the United States would have to help. Well-organized, the KPR had gained support all over South Korea, while the KDP lacked both organization and support. Instead of gritting their teeth and allowing the KPR to participate in the government, the Americans decided to crush it. The Americans believed that any group that did not accept their leadership must be controlled by Communists without acknowledging that their blatant support for Rhee was also interference in Korean affairs. When the left-wing boycotted the 1948 election, Rhee’s party and other right-wing parties gained a majority of the seats. Rhee became president and began creating a dictatorship, firing any minister who was not sufficiently loyal. Taking control of the police and army, he orchestrated a ruthless crackdown on anyone suspected of opposition, and 89,000 people were arrested between September 1948 and April 1949. South Korea held relatively free elections on May 30, 1950 and Rhee found himself a minority president since only 89 members of the 210-seat National Assembly supported him. Rhee knew that he was dependent on the Americans but he had seen Korea betrayed by the United States before. President Theodore Roosevelt had accepted Japan’s dominance in Korea in exchange for freedom of action in recently conquered Philippines. President Woodrow Wilson, Rhee’s own mentor, had presided over the 1919 Versailles Peace Conference, where instead of being pressured to leave Korea, Japan was rewarded for backing the Allies during WWI with Germany’s possessions in China. 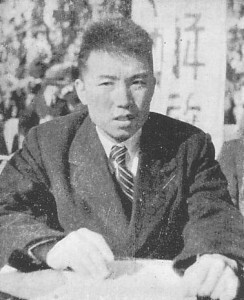 Former Korean Communist guerrilla leader Kim Il-sung had become premier of North Korea with the backing of the Soviets. Having served in the Soviet Army as a major, he had been selected by Lavrentiy Beria, head of the NKVD, the Soviet secret police, and approved by Josef Stalin, the Soviet dictator, to lead the Soviet satellite. Kim was dependent on the Soviets because he genuinely believed in Stalin and the Soviets. With Soviet support and his own record as a resistance fighter against the Japanese, Kim quickly solidified his control over the country, even though he was only thirty-three when he returned to Korea after an absence of eight years. Since the number of cross-border raids launched by both North and South Korea had grown since 1948, General Omar Bradley, chairman of the Joint Chiefs of Staff (JCS), asked General Douglas MacArthur on June 20, 1950 if there was any chance of an invasion. Although head of Far East Command, which included Japan, South Korea, and the Philippines, MacArthur was more concerned about the transformation of Japan into an American ally and the continued survival of Chiang Kai-Shek’s regime on Formosa, even though it was outside his area of authority. South Korea was officially one of his responsibilities, but he had washed his hands of the country because the State Department had taken charge of its development. MacArthur’s dismissal of any invasion was due to his reliance on his intelligence chief, Charles Willoughby, who ensured that MacArthur only received reports that matched his thinking, and had made it as difficult as possible for the CIA to operate in Asia. Bradley did not share MacArthur’s confidence in Willoughby or MacArthur’s confidence in MacArthur, so he sought the opinion of the commander of the Korean Military Advisory Group (KMAG), who believed that the NKPA would launch an offensive, but after the mid-summer rainy season had ended. However, the potential invasion received little attention because the global situation was complex, and the American government was monitoring events in Eastern Europe, the Philippines, Yugoslavia and the Middle East. Both Rhee and Kim wanted to reunify Korea and believed that the other side would fall easily. Kim had been encouraged by the Communists’ victory in China against the Nationalists the year before, where Mao had received strong support from the peasants and the Americans had accepted the defeat of their ally, Chiang Kai-shek. Aware that Rhee would provoke a war if permitted, the US had refused to provide the Republic of Korea (ROK) army with tanks, anti-tank weapons and planes, forcing him to limit himself to warlike rhetoric. However, Stalin had supplied the North Koreans with large quantities of planes, tanks and artillery. Kim promised Stalin that he could achieve total victory within three to four weeks. The exact nature of the agreement between Stalin and Kim is unknown due to the inaccessibility of records, but Stalin told Kim to obtain Mao’s permission before proceeding. From Stalin’s perspective, the invasion had two benefits: a Soviet satellite would control the entire Korean peninsula and the United States would become more defensive in Asia, thus weakening any chances of a reconciliation between China and the Americans. Stalin had no interest in helping Mao become a stronger version of President Josip Broz Tito, prime minister of Yugoslavia, whose refusal to acknowledge Soviet hegemony was a constant source of frustration. 100,000 Koreans had fought with the People’s Liberation Army (PLA) during the civil war, and the PLA had even sought refuge in North Korea when KMT forces controlled Manchuria. Despite this close connection, not all North Korean communists followed China’s lead. The Korean communists were divided into Kim’s Soviet-influenced faction, the southern faction and the Chinese-influenced faction. Kim met with Mao in May 1950 but brushed off an offer of military support, saying that the war would be won by Koreans without outside help. Realizing that they had no choice in the matter and grateful for Korean assistance during the civil war, the Chinese leaders accepted Kim’s plan, but wanted to limit Chinese involvement to returning the Korean members of the PLA. However, Mao knew that China needed Soviet fighter planes to invade Formosa, so he promised that China would intervene if the American army became involved and crossed the 38th parallel. He felt safe making this pledge since it was common knowledge that the American GIs in Japan were spoiled by the soft life of occupation. When the North Korean People’s Army (NKPA) launched its invasion early in the morning of June 25, 1950, it had 135,000 well-trained men, a wealth of artillery, 150 T-34 tanks and 200 fighters and bombers. Furthermore, guerrilla units had already been infiltrated into South Korea in order to disrupt communications. Soviet advisers were still vital since neither Kim Il Sung nor his deputy, Marshal Choe Yong-San, had ever commanded anything larger than a battalion, but Soviet advisers were ordered to stay away from front-line units to avoid capture. When the North Korean defense minister had opposed the invasion plan, Kim had taken personal control of the planning, and since he was a self-confident young man, there was little planning for unexpected contingencies. The NKPA had launched a three-pronged invasion that targeted Seoul on the western side, Wonju in the central corridor of South Korea, and the eastern coast. South Korea was far from ready for an invasion. The ROK army had 95,000 men but many troops had been permitted to return home to help with the harvest. Since the attack took place on a Sunday, most South Korean officials were away from the offices, while the senior American military advisers were out of the country. The North Korean planes dominated the sky, and the NKPA literally steamrolled across the border, since North Korean trains simply rolled across the border. Although individual ROK units fought well, there was no strategy at the higher levels. Even when disciplined units tried to make a stand in well-prepared ambushes, their artillery failed to damage the tanks, while bazooka shells simply bounced off the T-34s. Only suicidal attacks with satchel charges proved able to destroy tanks. Despite the bloody failure of two ROK divisions to block the road to Seoul, Major General Chae Byong Duk, chief of staff of the ROK Army, continued to throw regiments and battalions into the meat grinder, rather than admit that the capital had to be abandoned. By the morning of June 27, the defense minister was pushing for a retreat behind the Han, but Chae sank into an alcohol-fuelled depression and refused to change his strategy. Although unable to decide between the two men, Rhee did allow himself to be convinced to leave the city. Many of his opponents in the National Assembly remained and were killed by the North Koreans. Despite the panic in Seoul, the other two NKPA prongs had been frustrated by unexpectedly effective resistance. The NKPA advance towards Wonju was blocked by the ROK Sixth Division, whose able commander trapped tanks in narrow defiles, where they could be easily knocked out. After fighting for five days, the division retreated, while covering the retreat of the Eighth Division, which had held its position on the east coast for four days. Chae had finally moved his headquarters across the Han and ordered that all of of the bridges be destroyed, except for the Number One Bridge, which would stay up until the remnants of the four ROK divisions still fighting could move across. In the confusion, the engineers blew up the bridge during the morning of June 28, when hundreds of people and vehicles were still on it. While thousands of ROK soldiers were ferried across during the night, priceless artillery and ammunition had to be abandoned. NKPA units entered Seoul that afternoon but they were further delayed by a number of units who were trapped in the city and fought to the last man. Having captured the enemy capital, Kim was full of optimism. However, the Soviet ambassador reported to Stalin that the generals had not used tanks, infantry and artillery in combination but as individual units, while the ROK army was fighting hard and the number of prisoners was smaller than hoped. Large-scale impressment of ROK civilians and captured soldiers expanded the KPA to 200,000 men. The occupation of Seoul, including the execution of thousands of potential opponents of Kim’s regime, kept the army busy, allowing the ROK to fortify the Han River. Even so, the ROK army only hoped to delay the KPA while it moved south to the Taegu to regroup and wait for weapons and artillery from the American Far East Command. The North Korean government broadcast its claims that it was responding to Southern aggression, and many South Koreans would believe that Rhee had provoked a northern attack to strengthen his control over the ROK. The American State Department had been caught off-guard because it had thought that Berlin, Iran, Greece or Turkey would be more attractive targets for the Soviets. 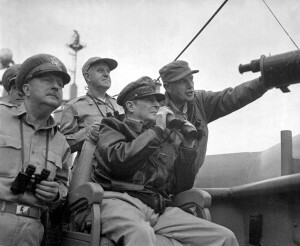 President Harry Truman’s initial response on the evening of June 25 was to tell MacArthur to evacuate the 2,000 Americans in Korea, and his command would be expanded to include Formosa, while the Seventh Fleet would move between China and Formosa to act as a buffer between the Communists and the Nationalists. Two days later, Truman announced that the US would support the ROK with air and naval units. 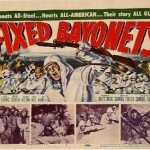 Once the American government had realized that it was a full-scale invasion, it asked the recently formed United Nations (UN) Security Council to meet on Sunday June 25. The Soviet representative had left the council to protest the UN’s refusal to offer Communist China the seat occupied by Nationalist China. Since the rest of the council was pro-West, the security council voted 9-0 in favor of a resolution that called for the NKPA to return across the border. There were only fifty-eight countries in the UN at the time, and most had bitter memories of appeasement. Following the Soviets’ brutal takeover of local governments in Eastern Europe, many governments were determined to prevent the further spread of Communism. On June 27, the Security Council voted 7-1, with Yugoslavia abstaining, to ask member nations to use force to repel the invasion, giving the United States permission to intervene in the Korean conflict. The State Department contacted allies to give the force an international flavor. Britain agreed to send its Far East Fleet and a brigade of infantry. The Turks sent an infantry brigade. The Philippines, Thailand, Holland, Ethiopia, Columbia, Belgium and Greece each sent an infantry battalion. Already busy in North Africa and Indochina, France only sent one battalion. A Canadian brigade, two Australian battalions and a New Zealand artillery regiment formed a Commonwealth Division. Both Stalin and Kim were stunned that the United States had decided to intervene, and the possibility of UN involvement had never even been considered. Worse, the expected massive popular uprising had failed to appear, and the ROK army had survived the onslaught. The weakness of the NKPA’s rigid strategy became clear once the units left their Russian advisers on the northern side of the border. None of the NKPA commanders had any experience leading a large-scale offensive. North Korea lost its aerial superiority the minute American fighters appeared over Korea. While Truman’s commitment of air support was impressive, it was also ineffective because the ROK units lacked the air controllers needed to direct the bombers to useful targets. Truman felt that it was necessary to take a stand in Korea, or else the Soviets would stir up trouble in other countries. On Monday night, Truman authorized MacArthur to use force to push the NKPA out of South Korea. The conflict became officially known as a police action during a press conference on Thursday when a reporter asked if it could be considered a police action, and Truman agreed, since he did not want to call it a war. The authorization giving MacArthur control over army forces and ending restrictions on the operations of American forces below the 38th Parallel was granted by the Pentagon, but he was ordered to stay far away from the borders of Manchuria or the Soviet Union. The army had been allowed to decay to disturbing levels, but numerous young men enlisted, motivated by a mixture of boredom and patriotism. While the KPA regrouped, the ROK army was struggling to rebuild a shattered army. Supplies and American advisers were arriving from Japan, but the ROK still did not have any weapons capable of killing tanks. Chae was replaced as head of the ROK army by General Chung Il-kwon on July 1, even though Rhee detested him. Wanting to avoid his front-line units being surrounded, Chung had the army fall back to a new line in the east, while the recently arrived US 24th Division was expected to hold the west and defend Suwon airport. Due to a misunderstanding during the initial briefing by the ROK senior staff, MacArthur was unaware that the Sixth and Eighth Divisions had survived in good shape, so he thought that roughly 25,000 ROK troops were ready to fight when the number was closer to 50,000. The Eighth Army, the American occupation force in Japan, was commanded by Lieutenant General Walton Walker. The first unit sent to Korea was the 24th Division, commanded by Major General William Dean. The first American unit sent against the North Koreans was the 1st Battalion, 21st Infantry and A Battery, commanded by Lieutenant Colonel Charles Smith. Major General Dean had given Smith simple orders, move to the front and shoot NKPA troops on sight. Smith’s force had arrived in South Korea on July 1, and it would be followed by the remainder of the division four days later. Occupying two rocky hills that dominated the road near Osan, twenty-five miles south of Seoul, the force’s WWII-era bazookas could not stop the T-34s. After fighting for three hours, Smith recognized that he would soon be surrounded and ordered a retreat. 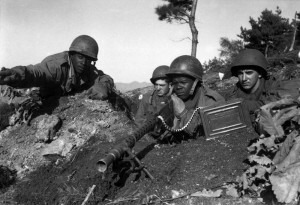 Once the young, inexperienced men saw others moving to the rear, they all left their positions, discarding anything that slowed them down as they moved through the fields and tried to avoid enemy tanks until they found relative safety with the 34th Infantry Regiment at Pyeongtaek, fifteen miles south of Osan. The 34th Infantry Regiment shared a similar weakness in heavy weapons, so when the NKPA swarmed around them on July 6, the commander of the lead battalion ordered a withdrawal. Major General Dean sacked the commander of the regiment and told them to stop retreating. When enemy tanks appeared on July 9, they easily broke through the Americans’ lines and the men fell back. It had been hoped that the presence of US troops would make the NKPA pause, but their poor performance ensured the opposite. Kang Kon, an aggressive and loyal general, took command of the KPA in the south in early July, and he developed the strategy of distracting the enemy with limited frontal attacks, and then sending most of his forces to attack the flanks where they would form roadblocks to ambush withdrawals or reinforcements. By July 14, ten KPA divisions were moving south to face the badly mauled US 24th Division and seven ROK divisions, only three of which could fight. However, American air superiority had forced the KPA to limit its movements to the night-time, straining its already over-extended logistics system. The 24th Division had dug in along the Kum River to defend Taejon and conditions should have improved since bazookas able to destroy the T-34s had finally arrived. The KPA strategy caused Dean to think that his position was safe, since the units guarding the forward approaches had not been pushed back. Unknown to Dean, KPA units had placed roadblocks on the two main roads out of the city. When the T-34s finally entered the city on July 20, convoys of troops hurriedly left the city, only to run into the enemy roadblocks. Instead of supervising the retreat, Dean hunted tanks with a bazooka team. Dean knew he would command a corps after the 25th Division had reached Pusan. 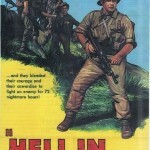 Captured after hiding in the hills for a month, Dean was turned into a hero to raise public support for the war, but while his decision was personally brave, he had essentially abandoned his official responsibilities. The 25th division was sent to Korea on July 9, and it had been brought up to strength by taking every American soldier in Japan, regardless of whether they were combat infantrymen or not. The 1st Cavalry reached Korea on July 18, and the survivors of the 24th division were able to fall back behind the lines of the 25th and 1st divisions on July 22, but it had taken thirty percent casualties in seventeen days. The confused mass of retreating ROK units, refugees and lost US units had little contact with the HQ, so air strikes killed hundreds, if not thousands of allied troops. Exceeding the Americans’ expectations, the ROK army had four full divisions (Capitol, First, Third and Eighth) fighting by mid-August. Even so, the combined US-ROK forces had to fall back to the Naktong River. Although the KPA had won every battle, the retreating US and ROK forces had inflicted numerous casualties on the North Koreans. The KPA’s main success had been in the central corridor with its relatively flat terrain where tanks and artillery were decisive. The KPA II Corps was moving against the ROK army in the mountains that formed the watershed of the Han River, a region that was full of bridges, tunnels, poor roads and narrow passes, which was perfect terrain for ambushes. Taking advantage of the KPA’s poor coordination between tanks, infantry and artillery, the ROK army won a number of victories during the second and third weeks of July. Despite its achievements, Walker did not have high expectations of the ROK army, and its American advisers were too junior to change his opinion. To be fair, he was busy dealing with the Eighth Army. 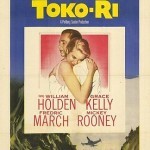 Experienced officers were in short supply since the best officers had been poached by the HQ in Tokyo, while a number of senior officers in the United States had chosen to retire rather than go to Korea. US troops would retreat with an almost insane desperation because the NKPA liked to outflank a unit, surround it, and then kill almost everyone in order to avoid wasting troops to guard prisoners. A terrifying tactic was to use refugees as cover to get close to an American position and then have NPA troops charge from within the group of refugees. NKPA troops often used suicidal human-wave attacks, which strengthened the US soldiers’ belief that the enemy was not human. The troops did not see why they should risk being massacred to defend a country, whose own army was ineffective. Looking at the maps and reading critical articles by American journalists covering the war, MacArthur and Major General Edward Almond, his chief of staff, interpreted Walker’s realistic appraisal of the situation and planned withdrawal to the Naktong River as defeatism. Walker had been one of Lieutenant General George Patton’s best commanders during WWII, but he did not have good relations with MacArthur, who dealt with him through staff officers. Fixated on winning the position of favored courtier in MacArthur’s court, Almond probably seized an opportunity to discredit a rival. In late July, MacArthur and Almond flew in to tell Walker to stop retreating. The press happily reported MacArthur’s order to Walker to stand his ground, although it was not as well-received among the American soldiers, who had little liking for the Koreans, referring to them as “gooks,” and viewing them as less-advanced than westerners. By the end of July, Walker had 95,000 men but both the 45,000 ROK troops and the 47,000 US troops were of varying quality. Disease and shell-shock, heightened by lack of food and rest, were sending thousands of soldiers to the hospital. A quarter of patients were suffering from mental and emotional breakdowns. Despite the failures of the US and ROK units, they had inflicted 58,000 casualties on the NKA by early August. 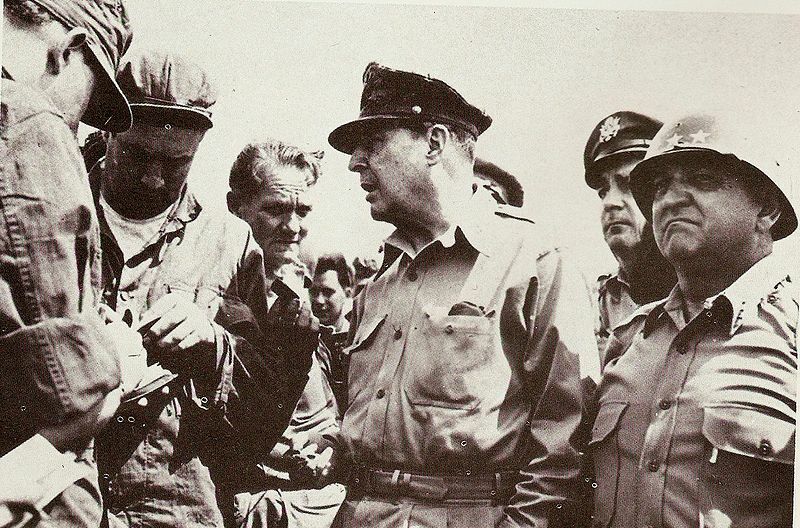 MacArthur remained in Japan, with little access to news, but refused to sack incompetent commanders. If he did visit Korea, it would always be a quick trip to an airfield, where he would meet with generals. He never left the airfields or spent the night in Korea. However, MacArthur spent two days in Formosa, far longer than he had in Korea, which was where the actual fighting was. MacArthur’s staff fed statements to Time, a MacArthur-friendly magazine, that Communism needed to be fought all over Asia. MacArthur’s decision to take the lead in political negotiations with Chiang forced Truman to send a polite message reminding MacArthur that he worked for Truman, but the general was too popular with Republicans to be fired. Refusing to let MacArthur widen the war, Chiang was not allowed to attack China, and his offer of troops for Korea was also refused. On August 2, Walker decided to pull the 8th Army across the Naktong River to establish a perimeter, roughly 70 miles long and sixty miles wide, around Pusan. 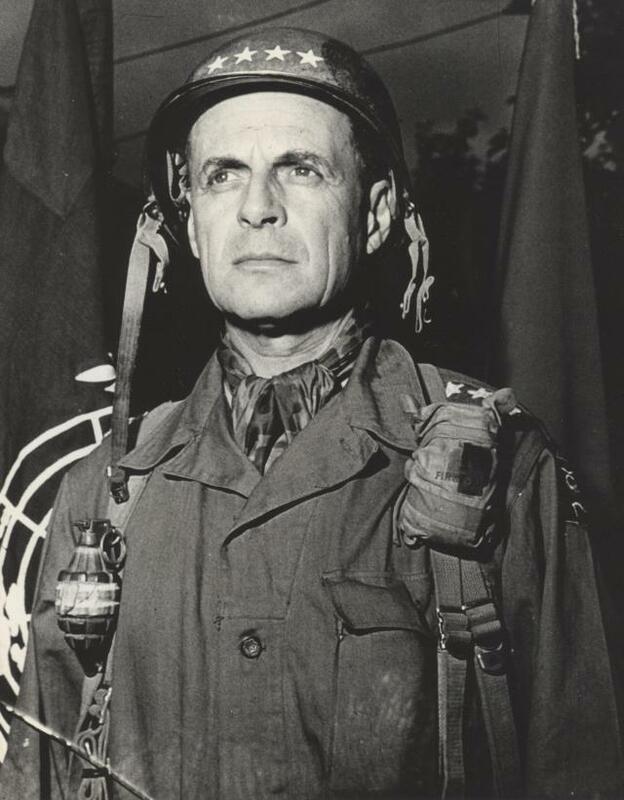 Having been driven out of the rest of South Korea, Walker realized that the UN troops would have to hold the high ground behind the Naktong River, or they would be forced to abandon Korea. An additional problem with the rapid retreat was that American material and heavy weapons were falling into NKPA hands, enabling them to keep fighting longer than they would have with just their own resources. Walker spent most of mid-August flying over the perimeter or driving to hot spots to see who needed reinforcements and which peacetime officers needed to be relieved. He often flew directly over the battlefield to gain a precise picture of the situation. It was a difficult week but the perimeter had stabilized by August 23. Having refused to plan for failure or even unexpected delays, Kim handled the changing situation by continuing to throw men at the perimeter, even though several of his own generals warned that the enemy was tougher than expected. However, Walker had figured out the NKPA strategy of double envelopments, so he made use of the rail and road system and the relatively limited size of the area to react faster to breakthroughs than the NKPA. Acknowledging that the perimeter was too large to hold every consecutive inch, Walker told units to dig in to defend from every direction, and if they were surrounded, reserves would be sent to relieve them. The situation must have appeared strange to outside viewers, since Walker had roughly 180,000 men, a considerable number of tanks and control of the air, but he was still struggling to hold the perimeter. Unknown to the defenders at Pusan, the NKPA was maintaining its offensive solely through suicidal attacks that were burning through their manpower reserves. The first thing that replacements noticed as they moved down the gangway from the troopships to the docks was the smell of human excrement. The second thing was a long line of wounded waiting to take their places on the troopships. Some units were immediately driven to a section of the front and thrown into battle. The nights were the worst because that was when the NKPA would launch its attacks. WWII veterans who were recalled to duty were astonished to see the state of the peacetime army. Although the defenders did not know at the time, the NKPA launched its last major assault on August 31, and broke through in several areas. By September 5, Walker was reluctantly considering retreat to a line further back, but it soon became clear that the enemy offensive had exhausted itself. Moreover, Walker had finally received five hundred Pershing and Sherman tanks, which were able to stand up against the T-34s, as well as provide mobile fire support to help stop KPA breakthroughs. The defenders at Pusan had survived largely because Walker was an extremely hands-on commander, who spent most of his time near the front, pushing scared or worn-out units to keep fighting. 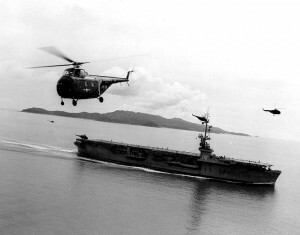 MacArthur had been fixated by the idea of a landing at Inchon since the beginning of the war, but his plan was originally opposed by the Joint Chiefs of Staff, and top-ranking naval, army and marine officers. Before they are criticized as lacking vision, remember that these were the men who had planned the landings during the Pacific Campaign in WWII, and their professional opinion was overwhelmingly against the idea. There was little debate about the strategic importance of Inchon, but only three days offered acceptable conditions for a landing, surprise was impossible since the island of Wolmi-Do had to be taken first, and the beachhead would be vulnerable to fire from the surrounding steep hills. Memories of the Anzio disaster, where an American amphibious landing was pinned down on a beach for several days, were still fresh in everyone’s minds. Most important, why send two divisions to the other side of Korea when they would ensure a successful breakout at Pusan? The man on the spot at Pusan, General Walker, was none too happy that a brigade of Marines would be pulled out of the line for the operation. Walker had pushed for a landing at Kunsan, closer to Pusan, to trap the NKPA army between X Corps, the landing force, and the Eighth Army. Determined to get his way, MacArthur gave a theatrical performance during a meeting in Tokyo with senior officers sent by the JCS, and he finally won the Joint Chiefs’ approval on August 28. In the end, MacArthur got his way because the entire American senior command overestimated the strength of the North Korean army. The NKPA’s non-stop attacks had led everyone to believe it was still strong, when the NKPA was burning through its reserves. Furthermore, the generals and admirals sent to Tokyo to examine the merits of MacArthur’s plan were incapable of objectivity because they were dealing with someone who had already become an icon when they were still junior officers. At the same time, the Marine Corps knew that the landing had to succeed, not just to save South Korea, but to save the Corps. Senior Navy and Army officers felt that the day of amphibian landings was over, and General Omar Bradley, the head of the Joint Chiefs, had stated that there was no need for amphibious landings in the nuclear age. Faced with the threat of being reduced to providing token units for ships, the Marines were burning with a desire to prove their value. MacArthur had no rapport with the rough-edged Walker, who was not part of his inner clique, so he appointed his Chief of Staff, Maj. Gen. Edward Almond, to command X Corps, the force assigned to carry out the landing, which consisted of the 1st Marine Division and the understrength 7th Infantry Division. Aside from the obvious slap in the face for Walker, MacArthur was later criticized for dividing command and for giving the command to a general with limited battlefield experience, who clearly needed a combat command to win his third star. The operation was not a well-kept secret in Japan but given the obvious difficulties of the Inchon landing, Soviet and Chinese agents most likely believed that it was simply a cover for a landing somewhere else on the Peninsula. Furthermore, the British launched diversionary attacks at Chinnampo and Kunsan. To prevent interference from the Joint Chiefs, technically his superiors, MacArthur delayed sending a complete plan of the operation until after the invasion armada had left Japan. Despite the advance warning of a five-day-long bombardment of Wolmi-do, the NKPA made no effort to reinforce Inchon. 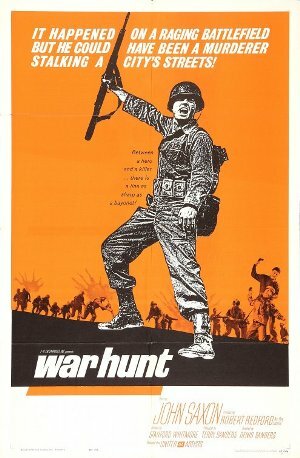 There were only 500 troops on Wolmi-do, and 1,500 raw recruits around Inchon. A massive bombardment ensured that most of Inchon’s defenders were too dazed to remember their names, never mind resist the Marines, so Inchon fell easily on September 15. Kim had been warned by the Chinese that the Americans were planning a large-scale amphibious operation, but he had come to power by obeying the Soviets, not through success on the battlefield, so he ignored the warning. The victory at Inchon made Truman and Rhee accept that victory was within grasp, and MacArthur’s critics in the JCS, Eighth Army and British military had to temporarily keep their opinions to themselves, leaving an over-confident MacArthur free to make even more grandiose plans. The drive towards Seoul, which was defended by 20,000 troops, commenced the next morning. Once the troops were safely landed, control of the mission transferred to Almond, who was infamous for his abrasive nature. Almond had played no role in the landing operation but MacArthur still awarded him a silver star for “conspicuous gallantry…he visited the front line units, and by personal example and fearless leadership encouraged them to seize assigned objectives with the minimum of delay.” Almond had actually visited the troops the day after the landing when everything was safe but MacArthur had his own view of reality. 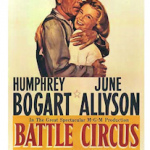 Relations between the Marines and the Army quickly deteriorated, as Almond was obsessed with keeping his promise to MacArthur that Seoul would be liberated by September 25, which was the three-month anniversary of the initial invasion. Smith agreed with Walker and the JCS that it would make more sense to bypass Seoul and link up with the Eighth Army, trapping the NKPA between them, but MacArthur wanted to receive credit for restoring the ROK government to Seoul. NKPA troops had to be cleared out street by street, which resulted in the almost complete destruction of the city. It would have been easier to simply surround the city, but civilian casualties were considered unimportant. As the US troops moved into the city, they found mass graves of civilians, men, women and children, executed by the NKPA. They also witnessed ROK infantry killing Communists as revenge for the mass executions by the KPA. Disgusted with the corruption and harsh control over public life executed by Rhee’s government, South Koreans had naturally expected that Kim Il Sung’s government could not be worse. They were wrong. The people who did not flee south suffered so much in four months that they realized that Rhee was the lesser evil. Rhee had used violence against political opponents but had left most people alone. The NKPA executed 26,000 civilians in cold blood in four months. Many Western journalists would become so repulsed by the brutality of Rhee’s men that they felt he was not worth propping up, but the alternative was undeniably worse. Ignoring instructions from the JCS to stay out of domestic Korean affairs, MacArthur insisted on officiating at the ceremony where the South Korean government was restored at Seoul on September 29, while Rhee’s execution squads roamed the city killing any suspected collaborators or former political rivals. MacArthur then flew back to Tokyo, leaving the cleaning up to Almond. Walker began his own breakout on September 16. Although the advance was slow at first because cloudy weather prevented air support, when the clouds broke on September 19, so did the North Korean line. North Korean units simply dissolved, either surrendering en masse or throwing away equipment and uniforms as they ran. The lead position in the advance was assigned to US I Corps, while ROK I and II Corps would form two other columns moving towards the border. 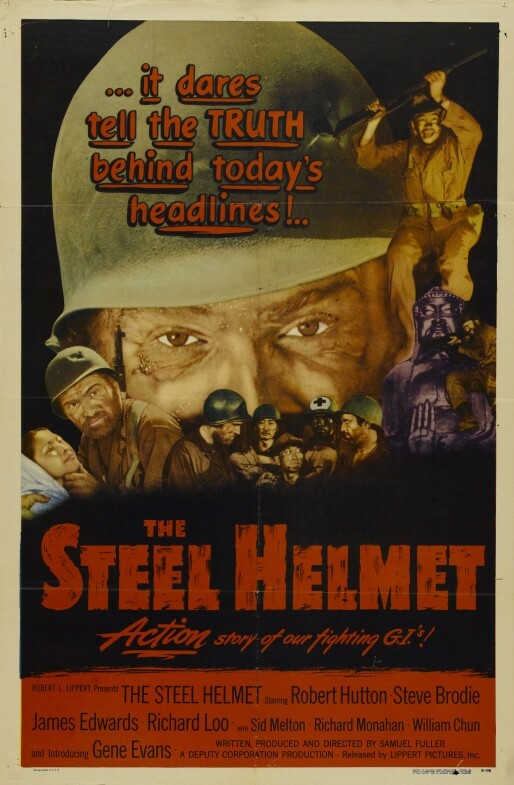 ROK I Corps was so aggressive in its attacks on the KPA that American advisers were often shocked. The capture of Seoul was not a key factor since morale had remained high among the KPA troops until the men were no longer able to bear the constant hammering by the artillery and air force. Once they abandoned their positions and retreated, they were even more vulnerable to air attacks and infantry assaults, especially by armored units, so the retreat became a rout. Since 110,000 NKPA POWs had been collected, MacArthur believed the war was basically finished. 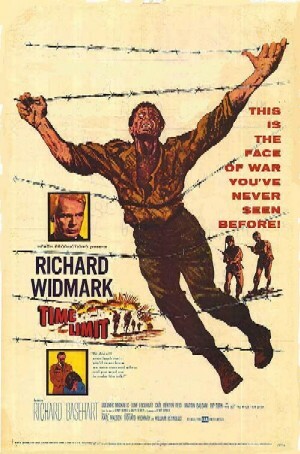 Aware that the decision on whether or not to enter North Korea had not been made, Walker knew that his logistics line could not be stretched past the 38th Parallel, so he planned only to liberate South Korea. By the end of September, the ROK Third Division was at the border waiting for orders to cross. Rhee announced that he would not be content to remain below the 38th parallel, and he ordered General Chung to send troops across the parallel. A UN resolution had called for the establishment of stability throughout Korea, which MacArthur viewed as authorization to forcibly pacify North Korea. While there was no official contact with Communist China, the unofficial word was that the Chinese would not intervene to save the NKPA from the ROK, but that US troops were not welcome near the Chinese border. Chinese Premier Zhou Enlai had told K. M. Pannikar, the Indian ambassador, that American intervention in North Korea would be opposed by the Chinese military. However, the Americans viewed Indian ambassador Panikkar as too left-wing, and a mouthpiece for the Chinese, not a proper diplomat. Surrounded by servile courtiers, MacArthur did not take the warnings seriously. Although the senior members of the U.S. government agreed that Kim could not be allowed to retreat behind his border as if nothing had happened, they debated whether the US should be seen placing Rhee as president of a forcibly re-united Korea without an actual election. 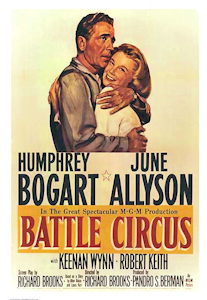 While the State Department realized that neither the Soviets nor the Chinese would accept American forces near their borders, MacArthur’s publicity campaign had ensured that the national mood strongly favoured letting the American army finish what it had started. Once the first ROK unit had crossed the border, they all moved quickly into the north. Instead of allowing X Corps to link up with Walker’s 8th Army, MacArthur had the Marines reboard the ships and sail around the peninsula to land at Wonsan in North Korea. Since X Corps was better positioned to strike towards Pyongyang than the Eighth Army, the decision prolonged the capture of the enemy capital. 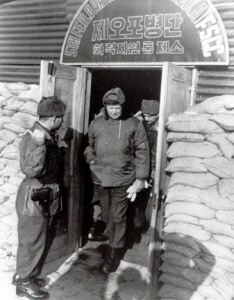 Wonsan had been captured by ROK troops before the Marines had finished boarding. Lacking enough naval minesweepers to properly clear the mines from Wonsan Harbor, the Marines had to wait on ship while Almond exploded with fury at the Navy. The Marines believed that X Corps had been sent to Wosan to ensure that they did not capture both Seoul and Pyongyang, which would be embarrassing to MacArthur, who was an army officer. 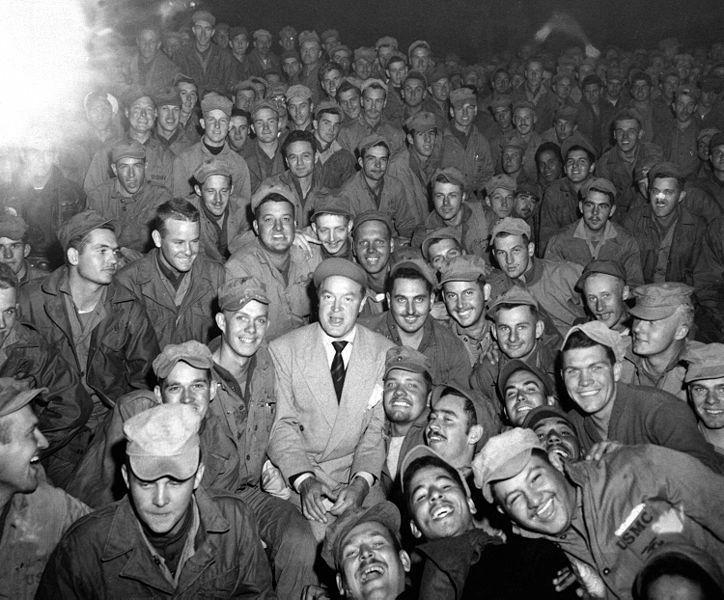 The delay caused by clearing the mines from the harbour meant that Bob Hope landed at Wonsan and found that the Marines that he was supposed to entertain were still at sea. Instead of returning X Corps to the Eighth Army, MacArthur put ROK I Corps, which had taken Wonsan, under Almond’s X Corps, which was to remain separate from the 8th Army. Although MacArthur considered himself to be in command of the two armies, he maintained his leisurely routine from before the war with lengthy lunches and naps. Ironically, this approach seems similar to the relaxed atmosphere behind the front during WWI, which MacArthur had loathed at the time. Since Almond kept his position as chief-of-staff of the Asian command in Tokyo, he had a higher position than Walker, even though Walker out-ranked him. Almond used his direct line to Tokyo to ensure that X Corps received an additional set of equipment, as if they were being supplied for the first time, while the 8th Army had bogged down due to a lack of supplies. The NKPA were retreating but while many had been captured, the more fanatical simply melted into the countryside to become guerrillas, and both US and ROK units were moving north too fast to properly secure the area. Since most resources were going to X Corps, Walker decided to halt at the 38th parallel to regroup. Viewing the Soviets and the Warsaw Pact nations as the primary enemy, the USAF had planned for war against an industrialized society that was dependent on mechanized warfare and railways. Korea’s mountainous terrain and the Communists’ lack of heavy industry, fixed positions and large armoured units offered few targets for medium and heavy-bombers. Adapting to the enemy’s overwhelming air power, the Chinese moved only at night and established a warning system for air raids, so convoys of trucks would stop with little warning. Since bomber crews could go home after flying fifty missions, they naturally wanted to fly as many missions as possible in the shortest time possible, regardless of whether there were targets. The American bombers flew unopposed until Soviet MiG-15s appeared in Korea in early November, and the USAF responded by sending a wing each of F-84 and F-86 fighters. The USAF claims that the first jet-to-jet fight was on November 8, while the Soviets claim that it had occurred on November 1. It soon became clear that the F-84s were out-matched by the MiGs, so they were used as fighter-bombers. Since there were no functioning airfields in North Korea, the short range of the MiGs meant that they were confined to defending the rear areas near the Yalu River, which became known as MiG Alley. The Americans had been surprised by the appearance of MiGs over the Yalu, but they should not have been since Soviet “volunteers” had flown MiGs in defense of Shanghai against Nationalist air raids in early 1950. While the Chinese infiltrated their army into Korea, the Soviets trained Chinese pilots in order to prepare them to replace Soviet pilots in Korea, and planes were handed over to the Chinese at the end of the training period. 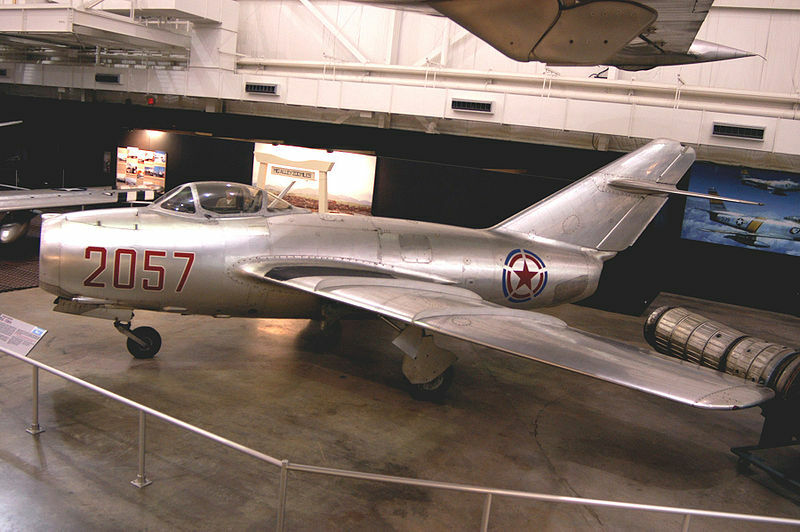 Although this deal rapidly expanded the People’s Liberation Army Air Force (PLAAF), the Chinese discovered that the Soviets were offloading outdated Mig-9s on them. Small units of Chinese pilots were sent to serve with the Soviets on the Yalu to gain experience in December 1950. The first few combat missions did not go well because the Soviets did not speak Chinese, so they basically left their allies alone in the air once the fighting started. By mid-1951, the PLAAF had six fighter divisions that were considered combat-ready. Although Chinese pilots played an increasing role in the air war in 1952 and 1953, the Soviets never withdrew all of their squadrons. By mid-year, UN intelligence estimated that there were roughly 450 MiGs in Korea, opposed by only 89 F-86s, but Vandenberg, the head of the USAF refused to send more Sabres because they were needed in the United States and Europe. The USAF had kept aerial superiority by sending B-29s to bomb enemy airfields on the southern side of the Yalu in April, and the shorter range of the MiGs kept them from being a threat outside of MiG Alley. When the bombers were sent against new airfields in September, these new airfields proved to be better defended, so B-29 daylight operations were suspended again after four B-29s were shot down in late October. 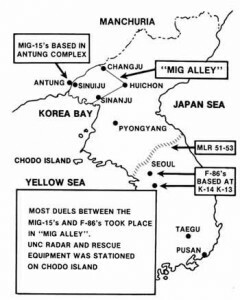 The airfields permitted MiGs to reach Seoul, so the aerial fighting became fierce at the end of 1951. Once USAF fighter pilots completed their 100 missions, they were transferred out of Korea, and their replacements were either raw pilots fresh out of pilot school or reserve pilots who had last flown bombers in WWII. The reserve pilots were out of shape both mentally and physically. The mental issue was key since reflexes often remained but the pilots were no longer aggressive enough for jet fighters. 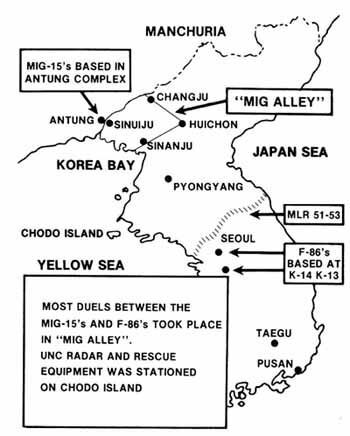 The fighter wing was based in Kimpo, South Korea, and morale was low because conditions were poor, targets never seemed to be worthwhile, and the raids were boring except on the rare occasion that MiGs made a determined effort to attack. Most important, they were frustrated that when they bombed near the Chinese border they could see MiGs flying from the base at Antung but they were forbidden to cross the border to hit the enemy air base. Since the Soviet and Chinese pilots had a defensive role, and interception at jet-speeds left little time for warning, the pilots often had to spend hours in their cockpits waiting for orders, which was undoubtedly frustrating for aggressive pilots. Worse, they were still flying with WWII-era clothing, unlike the American G-suits, so they experienced severe physical problems when executing rapid air manuevers. The Soviet squadrons were rotated in and out of Korea as units, unlike the USAF which moved pilots out after 100 missions, so each new squadron would be raw and inexperienced. The Soviets maintained a separate air command from their Chinese and KPA allies, who had formed a joint air command in April 1951. Unsurprisingly, inexperienced pilots who spoke a different language operating in the same air zone without coordination between their home units occasionally experienced deadly misunderstandings. It is hard to calculate the number of MiGs shot down but the current estimate is a ratio of 4 MiGs to 3 Sabres. It is unknown how many and how often pilots crossed the Yalu River in hot pursuit of MiGs but it was far from rare. Although USAF pilots were forbidden to cross the Yalu, MiGs taking off from airfields were an irresistible and defenceless target. The number of attacks on airfields increased in the spring of 1953, causing the Soviets to pull 40% of their aircraft from Korea. However, the attacks over the Yalu were risky. Captain Harold Fischer, Jr. was shot down on April 7, 1953, and spent two years in a Chinese prison. Kim Il Sung had already sought assistance from Stalin, but the Soviet economy had failed to fully recover from WWII, so Stalin had zero desire to engage in a war with the US. Instead, Stalin asked Mao to send troops to help the NKPA. A full-fledged paranoid, Stalin thought that China was a potential rival and even enemy of Russia, therefore he was more than happy to see the Chinese burn themselves out without being obliged to support them. Mao had every right to be proud that the CCP had won its revolution without the help of Stalin, but China desperately needed weapons from the Soviets since the weapons captured from the Japanese and Nationalists were breaking down due to a lack of spare parts. The equipment left in Japanese factories in Manchuria would have been invaluable but those factories had already been stripped bare. Soviet troops had smashed the Japanese forces in the area in a brief two-week campaign, but had felt justified in claiming everything that was not nailed down. The CCP-Soviet alliance had not been smooth. Mao had struggled with Soviet-trained Chinese Communists for leadership of the CCP. The two leaders had contradictory views of Communism since Mao had a rural background and Stalin had an urban perspective, so Stalin had often supported the Nationalists because he genuinely believed that a revolution would occur in the cities, not the countryside. 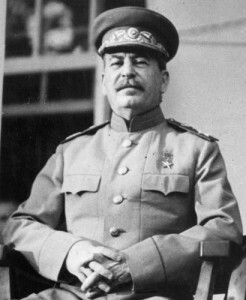 Most important, Stalin had promised President Roosevelt during the Yalta Conference in February 1945 that he would not interfere in the Chinese civil war if Roosevelt allowed Stalin to dominate Outer Mongolia. In early 1949, Stalin had advised Mao to stay in the north of China, leaving the south to Chiang. Despite these issues, the CCP knew that the Soviets were its only ally, since normal relations with the United States seemed unlikely. In fact, Mao had stated on June 30, 1949 that while China would follow its own path, it would naturally lean-to-one-side, meaning the Soviets. Mao was pessimistic about the idea of relying on the the West to restart China’s economy, believing that political revolution was more important than economic growth, while China’s huge size would enable it to survive a Western boycott. In particular, he felt that the Americans would never accept the Chinese revolution, since they continued to support the Nationalists after they fled to Formosa. Given the century-long abuse of China by a succession of foreigners, first the Western powers and then the Japanese, Mao’s suspicion is understandable. At the same time, the American leadership had ended WWII convinced of the superiority of both the American military and American values, so any contradiction was not accepted. Even a basic demand for equality was greeted by suspicion if it did not include respect for American values. Whether a more impartial American response would have produced better results is difficult to determine. Given the strength of the China Lobby, which refused to accept abandoning the Chiang regime on Formosa, it is unlikely that the Truman administration could have recognized Communist China, since the CCP had repeatedly stated that the US had to first abandon Chiang before China would recognize America. When the People’s Republic of China (PRC) was officially established on October 1, 1949, Washington declined to recognize the PRC, which cemented Chinese suspicion of the United States. However, Mao’s visit to the Soviet Union in December 1949 did not go well because Mao had wanted Stalin to apologize for his previous bad treatment of the CCP, or at least confirm that China and the Soviet Union would be equal partners in the revolution, but Stalin simply made him wait, and then refused to talk about anything serious. It did not help that Mao was fond of expressing himself through vague metaphors that had deep meaning in Chinese but clearly confused Stalin. However, the two sides did sign a deal in February for Soviet fighters, bombers and trainers. The rapid decision by the US to intervene in the Korean War was not expected by Kim or the Chinese leadership, although it should not have given Washington’s close relationship with Seoul, the right-wing’s fierce criticism of Truman for losing China and the recent American decision to oppose the spread of Communism in Asia. However, a more active United States would also serve the purpose of the CCP in rallying the Chinese people and attracting more Asian support for the Chinese revolution. In August, the CCP had formally decided to postpone the Taiwan campaign to 1952. Since a powerful American presence in Korea would threaten China, the CCP leadership decided on July 7 to prepare for an intervention. The military preparations also gave the CCP an excuse to further tighten its control over the country. 2.5 million reactionaries would be arrested by May 1951 and 710,000 would be executed. The intervention was originally scheduled for early September but new tactics were needed to overcome American superiority in firepower. Realizing that frontal attacks would be suicide, they needed to fight at night, penetrate American lines and cut off their retreat. The success of the landing at Inchon had dramatically changed the situation, leaving the Chinese responsible for most of the fighting. When Peng met with Kim on October 20 to discuss the offensive, Kim had to admit that he only had three divisions left. 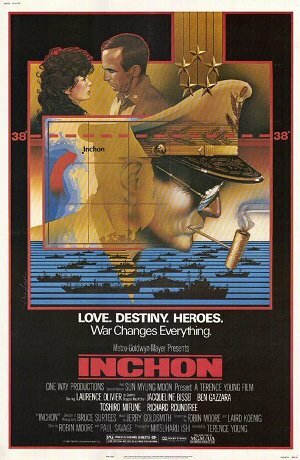 Furthermore, Inchon had forced Kim to seek help from China. Actually, he sent representatives from the Chinese and southern factions, rather than come himself. Although it is impossible to be certain, the representatives may have gone on their own authority seeking Mao’s backing in a power struggle against Kim, who had led North Korea to disaster. It is clear that Mao declined to oppose Kim’s leadership, but the CCP still waited until Kim himself officially requested help on October 1 before deciding to intervene. The fact that American troops were crossing the border in large numbers was the deciding factor. Since Mao believed that the revolution had to continue, another enemy would be needed to motivate people. The Nationalists played that role but conflict with the west was also necessary in the long-term. It is key to remember that although Mao wanted to destroy all remnants of the feudal past, he was also proud of China’s long history, so he wanted China to play a leading role in the revolutions with the developing world. While these trends are easy to understand, the lack of access to Mao’s private records makes it difficult to know whether Mao could have persuaded the CCP leadership to pursue a major war if the US had stayed below the 38th Parallel. A lifelong student of Chinese history and ancient military strategy, Mao was convinced that clever strategies and superior moral determination could overcome weakness in military equipment and supplies. Much of the CCP leadership believed that revolution was not just a necessary stage but a continuing stage. Having spent most of his adult life considering how to use revolution to transform a society and how to lead a weaker army to overcome a militarily superior one, Mao was fixated on this approach. The CCP’s victory against the better-armed KMT during the civil war in 1946-1949 seemed to prove his theories correct. The huge number of potential casualties did not faze Mao, who even dismissed the threat of the atomic bomb. Mao had little interest in the logistical difficulties that would plague Peng Dehuai. The KMT government in Taiwan and its embassy in Washington had good intelligence about the Chinese communists’ plans because they shared the same cultural mindset and they received radio messages from senior Nationalist officers who had been forced to join the Communists. Their ally was not warned that the Chinese would enter the war because they hoped that a war between China and America would escalate, and the United States would reconquer China for Chiang. When the US announced that it would place Formosa under its security umbrella and seemed prepared to move towards the Yalu, it should not be a surprise that the Chinese felt surrounded, especially since the Japanese had used North Korea as a base for an invasion of Manchuria only a generation ago. Unfortunately, rabid anti-communism was sweeping the nation, led by Senator Joe McCarthy and FBI director J. Edgar Hoover, forcing Acheson to sacrifice most of his China experts, replacing them with men like Dean Rusk, who believed that China and Russia had a single head. Acheson had even brought in hard-liner John Foster Dulles to the State Department. Supporters in the Congress and Senate could be relied on to attack the White House as appeasers. Truman’s administration had paid little attention to warnings from the Indian ambassador because no one actually thought that the Chinese army was any real threat to the US ground forces, and Mao was expected to be afraid of US air strikes, especially the atomic bomb. Worse, Truman gave MacArthur ambiguous orders even though he and his advisers knew that MacArthur loved orders that were unclear because he had more freedom of movement. Although they would not admit it, the policy makers in Washington were afraid to openly oppose him after Inchon. On October 15, 1950, Truman flew to Wake Island to meet MacArthur, instead of insisting that MacArthur meet him at Hawaii, which would have reminded both the public and MacArthur who was in charge. Travelling so close to Korea and not going the full distance made it seem as if Truman was unwelcome in MacArthur’s territory, while giving up the press opportunities to be seen meeting with GIs was a major political blunder. Even so, MacArthur still felt slighted because he was accustomed to receiving people in Tokyo. The meeting did not start well when MacArthur shook hands with the president instead of saluting him. The president’s secretary took notes during the meeting and MacArthur’s aide Colonel Bunker made notes shortly after the meeting. Both versions agreed that MacArthur had dismissed the possibility of Chinese intervention in the Korean War or that the Chinese would pose a threat to the American forces. When the Chinese did intervene and did prove to be a threat, MacArthur bluntly denied that he had dismissed the Chinese threat. MacArthur had commented that it would be almost impossible for large numbers of Chinese to move across the Yalu River. Unknown to MacArthur, tens of thousands of Chinese troops had already crossed the Yalu at night. Truman and his entourage believed MacArthur because he had an impressive command of details and because they desperately wanted it to be true. 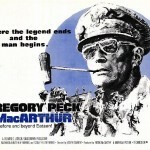 MacArthur oversaw a ceremony at Pyongyang where Rhee took control of the communist capital. Although the UN was supposed to occupy North Korea and then hold elections, Rhee announced on October 23 that he was taking control of the country, and Korea should now be considered united. The JCS was not pleased to learn that MacArthur had ordered all non-ROK units to push towards the Yalu on October 24, but he had guessed correctly that they did not want a showdown two weeks before the mid-term elections. MacArthur’s fixation with the symbol of reaching the Yalu River meant that there was a huge gap between X Corps and the Eighth Army. Walker tried to delay his movement forward, since he was aware that his supply lines were dangerously stretched. Realizing that discovery meant destruction, Peng had forbidden his units to communicate by radio, telegraph or telephone. Vehicles crossed rivers on bridges that had been painted the color of water and were below the water, so trucks drove across with water coming up to the top of their wheels. The Chinese army’s inability to fight a modern war enabled it to move hundreds of thousands of troops and porters into Korea undetected because there were no radio traffic, no ammunition dumps, and no newly built roads to alert the enemy. 800 trucks had been gathered from all over China but they were not enough, so Peng had to rely on a half-million porters to move his supplies. 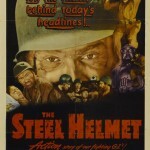 However, a Chinese soldier could survive on less than ten pounds of supplies, while an American soldier needed sixty. Peng and his generals were naturally relieved to see the two wings of the UN army move steadily apart, which made it easier to take them by surprise. Unfortunately, this favorable situation encouraged Mao to take a more aggressive attitude than the original strategy of preparing defensive positions in the north and luring in the UN forces. The Chinese first made their presence known during the Battle of Onjong from October 25 to 29, when several Chinese divisions ambushed the 6th Division of the ROK II Corps. Actually, the battle had occurred sooner than Peng had planned because Mao wanted an early victory to raise the morale of the Chinese troops. Believing that the NKPA no longer existed as an organized force, the unsuspecting ROK troops were lured into a series of ambushes, where they took heavy losses. As the first elements of the Chinese forces encountered US and ROK units, they quickly discovered that cooperation and communication between the allies was limited, enabling the Chinese to target isolated ROK divisions. While destroying the ROK 6th Division, which was guarding the right flank of the Eighth Army, Peng moved against the ROK 1st Division, in accordance with Mao’s insistence that he target ROK divisions first, at Unsan, ten miles southwest of Onjong. Commanded by Brigadier General Paik Sun Yup, the 1st Division found itself facing unexpected resistance on October 25, and captured the first Chinese prisoners, who gave enough information for Paik to realize he was surrounded by three Chinese divisions. 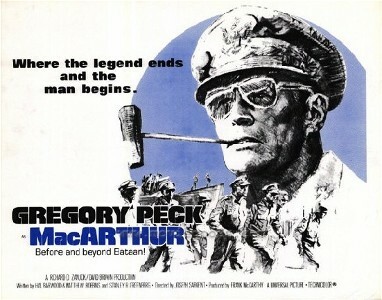 When Paik warned Walker that his men had encountered Chinese troops, Walker took the warning seriously, but was unable to persuade MacArthur to permit a slowdown of the advance. Grasping the danger of the situation, Paik seized the hills around Unsan, but was trapped when Chinese units surrounded the division. Units from the US 1st Cavalry Division broke through two days later. Peng ordered a renewed effort to surround and eliminate the ROK 1st Division on November 1, and Chinese forces fought soldiers from the 1st Cavalry Division, which was the first battle between Chinese and American troops. Learning that the ROK 6th Division had been badly hurt, Major General Frank Milburn ordered both the ROK 1st Division and the 1st Cavalry to pull back but they took heavy losses and had to abandon huge quantities of equipment, which was then used by the Chinese. The battle had initially favored the CPV, but the Americans and ROK units had retreated faster than Peng could move forces to block their retreat, so he ended the offensive on November 5. As a result, Peng informed Mao that his army was still not ready for a major offensive, and Mao agreed to give him time to regroup. Peng and his generals used that time to study how the Americans reacted in order to plan a more effective offensive. MacArthur interpreted the sudden end of fighting as evidence that the Chinese had retreated rather than face American firepower, but the victory had led the Chinese to conclude that they had no reason to fear the combat ability of the Americans. Admitting that the Chinese had moved into Korea in force with possibly 100,000 men, MacArthur decided to postpone his offensive from November 15 to November 24, but would not cancel it. Suddenly fearful of the Chinese threat, MacArthur convinced the JCS to allow him to destroy the bridges across the Yalu, but the river had frozen and could easily be crossed. Believing that a Chinese defeat would encourage negotiations, the JCS did not oppose MacArthur’s decision to continue with the offensive. However, he was to lead with ROK forces and give the Chinese the opportunity to make their way back across the Yalu. On November 15, President Truman publicly reassured Peking that America did not plan to invade China. MacArthur felt that there was no need for a buffer region and that the Chinese were no threat. To be fair to MacArthur, senior US leaders like Acheson thought that the Chinese knew that they were completely out-matched by American military power, except the Chinese had tested American military power in early November and had not been impressed. On November 24, MacArthur announced that Task Force X and the Eighth Army would be the eastern and western pincers that would crush the Communists between them. During a meeting with Walker and his commanders, MacArthur promised to send any soldiers who reached the Yalu home in time for Christmas, although he later denied having made the promise. Unwilling to risk his career by openly opposing MacArthur, Walker waited until MacArthur had flown back to Japan and then told the advance units to pull back immediately if they saw Chinese. Peng had hidden his troops in the hilly region around the Ch’ongch’on River. The UN forces advanced in a line: the US I Corps to the west, the US IX Corps in the center, and the ROK II Corps in the east. The first day of Walker’s advance went smoothly but Chinese units suddenly appeared on the second day, attacking stunned units from all sides. The attacks continued during the night, as the Chinese, equivalent in size to eighteen American divisions, overwhelmed the three US and three ROK divisions. The ROK II Corps was targeted and shattered, but the two American corps had also been hit hard. The Chinese always attacked at night and infiltrated between the units to surround them, but since they hid during the day, it was not evident to the UN forces that they were surrounded. 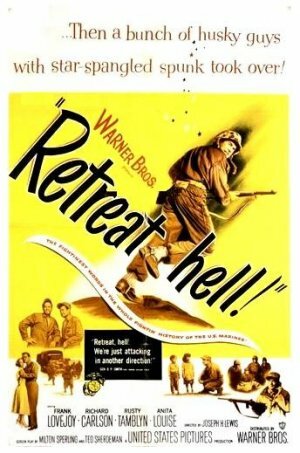 The retreat was such a disaster partially because the senior officers in the rear refused to acknowledge the scale of the offensive and did not make any effort to prepare fall-back positions. As a result, Chinese units that had penetrated the UN lines were able to ambush units retreating. When MacArthur learned that both Walker’s army and Task Force X were retreating in the face of huge Chinese armies, he informed the Pentagon that the attack was completely unexpected, ignoring his previous denial of the Chinese threat. Counterattacking, MacArthur enlisted every friendly journalist to defend his image as an infallible general. He claimed that every single action that he had taken had been approved directly by Washington, even though the Pentagon had tried and failed to rein him in. Once the press front had stabilized, he turned to the less-urgent matter of the collapse of UN forces in Korea. Instead of visiting Korea to observe the situation, MacArthur summoned Walker and Almond to Tokyo on the night of November 28. Although he accepted that the Chinese were attacking in force, he still underestimated the size of the enemy. Walker felt that retreat was vital but his army could probably hold the narrow neck of Korea, near Pyongyang. MacArthur approved of Walker’s plan to dig in above Pgongyang, while Almond was told to focus on holding the Hamhung-Hungnam area. Official orders for a retreat only emerged from HQ at Tokyo on November 29, four days into the battle. Major General Laurence Keiser, the commander of the US 2nd Division, dithered after receiving news of the sudden assault on his troops. Major General John Coulter, his corps commander, reacted even more slowly. Aware that he owed his position to MacArthur, if MacArthur would not admit that there had been a full-scale Chinese invasion, Coulter could not admit that his forward units were in danger. On the morning of November 29, Coulter finally permitted Keiser to move south. Keiser realized that the main road south was probably held by the Chinese but received no response to his repeated queries about another route because Coulter had recognized the danger of the situation and was busy moving his HQ further south to safety. On the 30th, Corps told Keiser that the Chinese presence on the road south was relatively thin. Extremely narrow with high banks on both sides and littered with the burnt-out vehicles abandoned by a Turkish brigade, the road was a perfect trap. When the division started to make its way through the pass at Kunu-ri on November 30, a firestorm of mortar bombs and machine-gun fire suddenly ripped through the convoy. Trucks caught on fire or crashed into each other, and soldiers were mowed down when they left the trucks. The people who survived were usually in vehicles that were driven fast over any obstacle, even wounded soldiers. The six-mile long pass would be called the Gauntlet by the men who made it through alive. 3,000 men were either killed or captured in the pass, and the division lost almost all of its transport and equipment. A defeat of that magnitude required a scapegoat and MacArthur was too senior, as was Coulter, so Keiser was relieved of his command four days later. While the Eighth Army was advancing northwest, Task Force X, led by the 1st Marine Division, was moving north along the east coast. 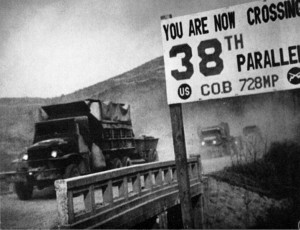 The division had been ordered to march to the village Yudam-ni at the Chosin Reservoir before continuing north, but the terrain was harsh, and the Marines’ supply line was an eighty-mile-long road that progressed from the reservoir through Funchillin Pass and Tokton Pass to the port of Hungnam. 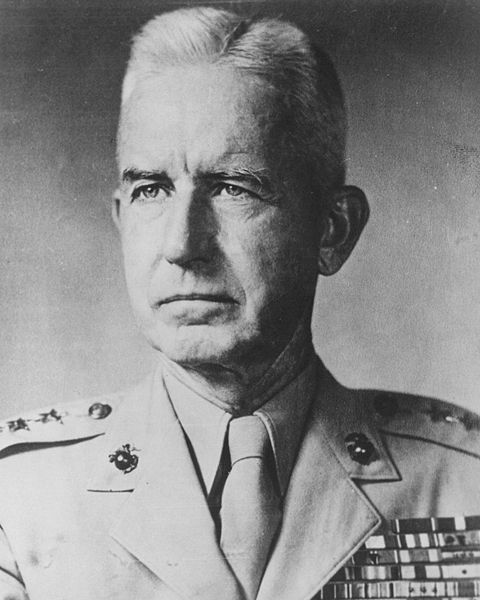 Major General Edward Almond, commander of Task Force X, was bursting with urgency but Major General O. P. Smith, CO of the 1st Marine Division thought that it was insane to have the regiments separated by eighty miles of mountainous terrain when it was so cold that the Thanksgiving dinner froze as it was being served. Smith personally inspected Funchilin Pass and saw that it was a tiny, icy track hacked out of the mountain filled with hairpin turns and steep drops. He later commented that “The country around Chosin was never intended for military operations. Even Genghis Khan wouldn’t tackle it.” Disgusted with Almond’s desire for glory, Smith refused to advance until his engineers had carved out an airfield from the frozen ground at Hagaru. The 7th Marine Regiment reached Yudam-ni on November 25. Chinese prisoners and Korean civilians all told the Marines that a major Chinese attack would be launched soon. By November 26, Smith had succeeded in placing one of 1st Regiment’s three battalions at Hagaru, and one each at Koto-ri and Chinhun-ni, the two ends of Funchilin Pass, in order to guard his supply route. Army units were starting to arrive at the eastern part of the reservoir but they were from the 7th Infantry Division, which was so weak that 8,000 Korean civilians had been press ganged into the division. The Chinese had gone to great lengths to conceal their movements, so the Marines had no idea that the 13,500 Marines and 4,500 GIs were surrounded by 60,000 Chinese soldiers. On the night of November 27 the Chinese attacked the two Marine regiments. The preferred Chinese tactic was to isolate a unit and pummel it. 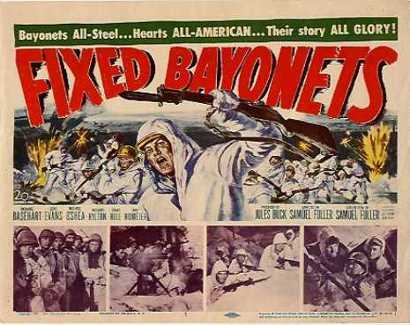 Sometimes it worked, sometimes the Chinese were cut to pieces by Marine firepower. The next morning, the Marines planned a breakout, while the Chinese swarmed along the hills in front of the perimeter. Although Smith was supposed to order the two regiments to attack the flank of the Chinese divisions hammering the Eighth Army, he accepted the need to evacuate them. That same night, the Chinese attacked the infantry, but the GIs managed to drive off the Chinese and hang on until daylight brought air support. Believing that the Chinese numbers were completely exaggerated, Almond visited Smith at Hagaru on Nov. 28 before going up to the 31st Regiment’s command post. Failing to grasp the seriousness of the situation, Almond refused to accept that the GIs had been attacked by two Chinese divisions because he knew that there were not two Chinese divisions in all of Korea. Almond did not respect the Chinese troops as an enemy, referring to them as ‘laundrymen’. It soon became apparent that the Chinese were planning to spring a trap on the entire division, since patrols had encountered increasing numbers of Chinese troops in the area around Hagaru. The Chinese attacked the evening of November 28, and men were rotated to warming tents to thaw out between waves of attacks. It was so cold that Marine corpsmen had to hold the morphine surettes in their mouths to warm them up and plasma was useless because it was frozen. Fought at night, the battle took on an eerie quality where the enemy was often heard but not seen. By morning, there were 1,000 Chinese and 61 Marine casualties but Hagaru’s survival owed less to the Marines’ training and more to the Chinese habit of repeated frontal charges. However, the Chinese had infiltrated the entire area, so a force of 900 soldiers and British commandos had been ambushed between Koto-ri and Hagaru, and only 300 men had actually reached dubious safety at Hagaru the next day. When a Marine officer finally managed to explain the situation to Almond, he wanted the 1st Marine Division to abandon all of its equipment, promising to supply the troops by air, but Smith insisted on an orderly retreat. By November 30, everyone, including newspapers in the US, believed that the Marines were doomed. Everyone except for the Marines of 1st Division. The Chinese tactic of wave attacks was not that effective against men who were dug in. A major Chinese assault against Hagaru during the night of November 30 had so many men that there seemed to be a shadow crossing the hill but in the end most of them were slaughtered. Smith now had 600 seriously wounded men, but planes proved able to land on the half-finished airstrip, and they began flying out the wounded while bringing in Marine volunteers. The 3,000 GIs of the 31st Regiment began moving on the morning of December 1. 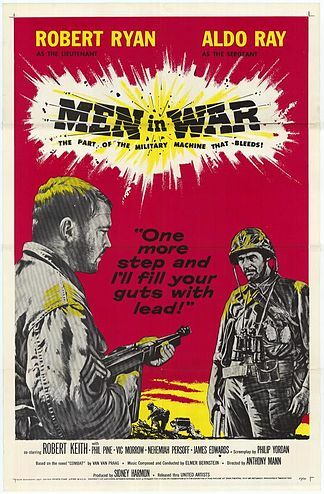 Unfortunately, most of the men were too exhausted to fight back. As dusk approached, the head of the column was 4.5 miles away from Hagaru. Once it was dark, the Chinese began shooting the soldiers in the trucks at the rear, not even bothering to take prisoners, and only 1,000 men made it to Hagaru. When the 8,000 men of the 5th and 7th Regiments left Yudam-ni early in the morning of December 3, the column received steady air support and they reached the northern part of Hagaru shortly before 7pm, December 3. The two Marine regiments had 1,800 casualties between them, one third of which were frostbite. The Marines left Hagaru on Dec. 6 and it was so cold that the men wanted to feel pain in their feet, since no pain meant frostbite. Back at Hagaru, the Marine rearguard fought off the Chinese during a three-hour-long firefight where endless waves of Chinese soldiers threw themselves at the Marines with a mixture of fatalism and ferocity that shocked even the veterans of Yudam-ni. When the last of the column arrived at Koto-ri at 9:30 pm, the entire division, aside from one battalion, was together. Although there were now 14,000 troops in one place, the last stretch of the retreat would still be dangerous since the snaking, twisting ten miles of Funchilin Pass would be an excellent killing ground for the entrenched Chinese troops. The remnants of the division continued to struggle forward despite having taken horrendous casualties. Third battalion, 7th Marines had shrunk from 1,000 to 120 Marines. The last missing Marine battalion and the only fresh one in the division was First Battalion, 1st Regiment, which had been guarding the railroad at Chinhung-ni, on the other side of Funchilin Pass. Relieved by GIs on December 7, it captured Hill 1081, which dominated the road, before the column arrived. The last bridge was blown up at 0230 December 11 after the last Marines made it across. The Marines’ senior staff believed that they could have held the port through the winter but MacArthur’s staff decided to play it safe and pull them out, thus abandoning a beachhead in North Korea. All of the American and ROK troops, along with 100,000 refugees were evacuated. While the media and the government competed to see who could make the defeat sound worse, the 1st Marine Division was the only division in the 8th Army and X Corps that was praised for its successful retreat. It is believed that the division fought six Chinese divisions. Smith’s statement to the press “Gentlemen, we are not retreating. We are merely advancing in another direction” became a symbol. 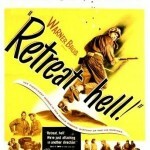 Newspaper headlines had added “Retreat, Hell!” to the statement. In the end, Smith’s tough, steady leadership kept the 1st Division intact while Almond’s lust for glory almost caused a catastrophe. Smith refused to return to X Corps while Almond was in command, and the 1st Marine Division was assigned to IX Army Corps until Smith was rotated out of Korea in April 1951. Having completely underestimated the Chinese threat, MacArthur overestimated it, claiming that there were 500,000 Chinese and 100,000 NKPA. Back in Washington, MacArthur’s allies in Congress and the press were placing the blame on Truman, calling for his impeachment and advocating widening the war to include China. Walker was extremely frustrated since he knew that the decision to pursue political objectives had resulted in MacArthur ignoring sound military strategy, which had placed his army in danger of destruction. Driven to save as much of his army as possible, he spent roughly four hours a day in the air. After discussions with the commanders who had fought the Chinese, he realized that enemy’s major weakness was a lack of supplies. Deciding that it would be impossible to defend Pyongyang, he organized a withdrawal to defensive positions behind the Imjin River, thirty miles north of Seoul. Walker’s army destroyed everything that it could not transport, including bridges, locomotives and massive supply dumps. The troops were in a hurry to retreat, so they were not thorough in their destruction, leaving supplies desperately needed by the badly equipped Chinese. In particular, the Chinese needed artillery, since they had launched their offensive with no heavy weapons other than mortars and machine guns. The huge piles of abandoned equipment were easy targets for US planes unless the Chinese were able to move everything away. Exhausted, starving soldiers would pass supply dumps that had been blown up before they could re-supply because of the chaos and panic in the rear. While driving to meet with President Rhee, Walker died in a road accident on December 23. Given the likelihood that the Chinese would attack, Lieutenant General Matthew Ridgway was chosen to replace him. Walker had organized such a rapid withdrawal that many correspondents and officers viewed it as a rout. Admittedly, many units had panicked but Walker did have a plan. Unfortunately, his death before the situation had stabilized meant that he did not get the credit that he deserved, especially since he had been placed in a horrible position by MacArthur’s overconfidence. With Walker dead, much of the blame that should have gone to MacArthur went to Walker. 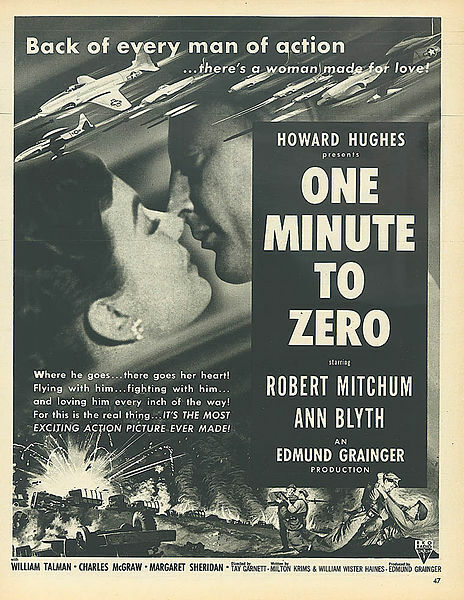 Willoughby did his part to protect his superior, claiming that his intelligence team had known the exact number of Chinese in Korea, and that MacArthur had ordered the offensive to determine how the enemy would react. Willoughby had continually re-arranged the intelligence and minimized the threat posed by the presence of Chinese soldiers in Korea, claiming that the massive Chinese forces in Manchuria were there to defend the Yalu power plants, and any Chinese troops found in Korea were simply reinforcements of Manchurian Koreans, not a full-scale intervention. The fact that the intelligence of X Corps, the Eighth Army, and the ROK army were confident that a major Chinese invasion would happen soon was ignored. Willoughby’s defective intelligence played a large role in the major defeat experienced by the Eighth Army, but he remained under MacArthur’s protection and never faced a court-martial. Bradley later admitted that the JCS should have reined in MacArthur after the defeat, especially since MacArthur seemed to devote more time to publicly blaming the administration for holding him back than dealing with the Chinese. Marshall, the only member of the administration with the authority to reign in MacArthur made no effort to do so. Marshall was old and tired after lengthy service, MacArthur and he had served together, and he felt that the secretary of defence should support generals, not manage them. While the situation appeared to favor the Chinese, Peng was disappointed to learn that his units had failed to eliminate most of the Eighth Army. Peng was content to let Walker retreat since his own supply lines were completely overstretched but Walker had retreated even further than he had expected. In fact, most of the Chinese troops never actually saw the enemy. The rout confirmed Mao’s contempt for the Americans’ fighting ability but Peng predicted a long war. Dismissing Peng’s concerns, Mao wanted the Third Offensive to start before the end of December, hoping that American allies would conclude that victory was impossible and pull out of Korea. While his military strategy was weak, Mao’s analysis of America’s growing weakness in the UN was accurate. 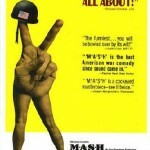 The US was having trouble persuading its allies to maintain their commitment to the war in Korea. Realizing that his army could not continue without proper supplies, Peng ordered a halt just above the 38th Parallel to regroup for the Third Offensive. Roughly a quarter of his original 450,000 troops were dead or wounded, often from frostbite, and none of his senior generals were urging another offensive. Mao argued that the KPA was ready to return to the battlefield with 75,000 combat troops. Peng was less enthusiastic since only Stalin’s influence persuaded Kim to accept Peng’s nominal command. Ridgway quickly injected energy into the Eighth Army by visiting as many command posts as possible. Commanders were told to to get their men off the roads and patrol in the hills to take the fight to the enemy. Ridgway focused on re-energizing the troops. Aware that the average soldier had no idea why he was in Korea, Ridgway drilled the message that they were fighting to defend Western civilization against a godless Communist dictatorship. Despite his efforts, Ridgway was irritated that Washington had been infected by MacArthur’s defeatism, and was considering abandoning South Korea. Ridgway had been depressed by the sight of endless streams of dispirited ROK soldiers moving south, and infuriated by the refusal of ROK officers to do anything. However, he believed the solution was better training for the ROK troops and the addition of tanks and artillery to their divisions. Accepting that the Chinese had the edge in manpower, Ridgway arranged for ten National Guard and Reserve artillery battalions to be sent to Korea to counter that advantage with firepower. While Ridgway was an anti-communist hawk, he knew that he served the United States government, not the other way around, and he followed the administration’s policy of fighting a limited war in Korea. The Chinese Third Offensive started during the night of December 31. Although there were six CPV armies and three NKPA corps, Peng was doubtful that he could achieve more than recapture Seoul. The Chinese deliberately targeted the ROK units, believing that they would collapse more easily, and the strategy was effective. Although the First and Sixth Divisions were two of the best divisions in the ROK army, they were overwhelmed by an intense enemy artillery barrage and careful infiltration of their positions. Quickly conceding that the Imjin River could not be defended, Ridgway ordered a retreat, even though it meant abandoning Seoul. Ridgway fell back behind the Han River, and American engineers blew up the Han bridges, Kimpo airfield and Inchon Harbor. The Third Offensive had pushed the Americans below the 38th parallel but it had been an orderly retreat. News that Seoul had been retaken caused celebrations in Beijing but Peng knew that his supply lines were over-extended and the Americans had not panicked this time, so he believed that Ridgway was trying to lure him into a trap. Many Chinese units had so many frostbite victims that they were no longer combat-ready. Aware that the Chinese were exhausted, under-supplied and constantly harassed by UN aircraft during the day, Peng won Mao’s permission to stop, and he persuaded Kim Sung-Il to accept a pause for two months before restarting the Fourth Offensive in March. Peng expected that he would have time to carry out his reorganization because he felt that Ridgway was unlikely to counterattack. He did not know Ridgway. Cooperation between the CPV and the NKPA was frayed because the CPV commanders were wary of over-extending themselves, but the NKPA commanders harshly criticized their allies as lacking the courage to finish off a badly wounded enemy, apparently forgetting their near-complete defeat when they had pursued that strategy at Pusan. In an attempt to smooth relations, a joint meeting was held on January 27 between CPV and NKPA commanders but while the NKPA generals were criticizing their allies as weak-willed, the enemy that had been dismissed as badly wounded suddenly attacked. Ridgway’s first offensive began on January 25, and he had forced the Chinese out of Inchon and Kimpo by February 9 before the offensive died down on February 18. Concluding that the Chinese were weak in logistics and communications, Ridgway developed a strategy where they were lured into battles to be destroyed. By this time, UN units had learned the importance of defending against all flanks and using flares to light up the massed Chinese attacks at night, so that artillery and air strikes would rain down destruction on the Chinese. Shortly after taking command, Ridgway had cleaned house, removing a number of incompetent officers, including a corps commander and several divisional commanders, but he kept Almond because it would be a fight to get rid of him. However, Almond would have to be content as a corps commander, giving up his position as chief of staff. A personal meeting between the two men left no doubt that Ridgway was in charge. Focused on planning his own offensive, Peng did not realize that Ridgway’s small offensive signalled a dramatic change in the enemy’s attitude, but he did know that the enemy’s front offered fewer opportunities for infiltration than before. Worse, his staff now estimated that the Chinese People’s Volunteer Force (CPVF)’s 250,000 men were outnumbered by the UN’s 280,000 troops. Peng wanted to abandon Seoul to gain time to rebuild his army, but Mao insisted that the Fourth Offensive continue. Peng obediently complied but repeatedly warned Mao to lower his expectations. Tentative feelers by American allies and members of Truman’s administration had determined that the 38th parallel would be an acceptable border. USSR experts in the State Department hoped to use the Soviets as a channel to persuade the Chinese to start negotiations, but did not perceive that Stalin was happy to see his enemy, the United States, bled by China, an ally of dubious loyalty. 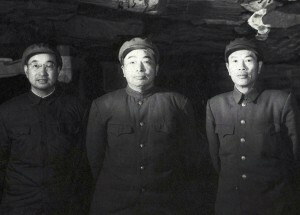 Fearing that he would not be able to hold his gains, Peng advised Mao to accept the cease-fire proposal, but Mao refused to permit Peng to commence negotiations until after the Fourth Offensive, which was expected to give the Communists a better negotiating position. Although Peng appeared to be a simple peasant, he knew that the Americans may have seemed to have been easily defeated but the lack of sufficient ammunition and air power made it difficult to finish off any large American unit, even if it was surrounded. Although loyal to Mao, Peng believed that Mao made decisions based on political issues and was not a military expert. While Mao wanted to prove to the Soviets that China could defeat the United States, Peng had little interest in impressing foreigners at the cost of his men’s lives. 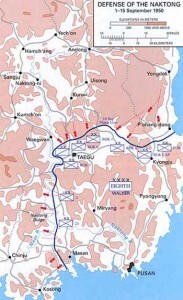 The Fourth Offensive took place in early February, and Peng hoped to gain control over the Wonju-Chipyongni area, a vital rail and road junction, which would leave the route to Pusan wide open. Aware that an enemy offensive was coming, Ridgway launched Operation Thunderbolt on January 25. Having learned nothing from Chosin, Almond had sent his forces forward too fast, leaving gaps between them, even though Ridgway had emphasized that the units move close together to prevent the Chinese from slipping through holes in the line and surrounding a UN unit. Almond had prepared a complex plan to take Wonju that required smooth cooperation between his units and the willingness of the Chinese forces to be where Almond wanted them. When the Chinese cooperated by moving back to lure the Americans and ROK forces into an ambush, Almond presumed that his plan was working. Until three Chinese divisions suddenly smashed the 8th ROK division on February 11. Since Almond had filled his division with yes men, too many officers waited to get permission from Corps before allowing their subordinates to pull back, so the retreat was chaotic. Over-confident, the Chinese moved in daytime to try to finish off the enemy, but a spotter plane noticed two divisions moving in the valley. Orders were quickly relayed to the artillery, which rained shells down on the Chinese until the barrels were melting. More than half of the fourteen thousand men became casualties, which ended hope of Chinese victory at Wonju. The battles at Wonju and Chipyongni had taught Ridgway a great deal about the Chinese. Lacking the logistics for battles longer than three days, if the Chinese did not win in three days, they would abandon the fight, regardless of the situation. While Ridgway had learned valuable lessons about the Chinese, Mao refused to accept the advantage of American technological superiority or that Ridgway had a different approach than MacArthur. However, Peng realized that American air power meant that he had to adapt a new strategy, while the renewed aggression of the UN army made it clear that they were not planning to abandon Korea. Peng flew back to Beijing to see Mao on February 20, and Mao concluded that the United States would only be defeated through a war of attrition, so the Chinese had to prepare for at least two more years of war. MacArthur flew several times to Korea between late January and February 20 to hold press conferences with the Korean War as a background but still failed to look at the army he was theoretically in charge of. These trips with his pet correspondents were a reaction to articles from reporters actually based in Korea and their opinion that Ridgway, not MacArthur, was responsible for the turn-around. Fed up with MacArthur’s elaborate visits which signalled to the Chinese that another offensive was about to start, Ridgway sent MacArthur a diplomatic message persuading him to hold press events somewhere else. Operation Killer started on February 21 and the UN controlled the area south of the Han River when it ended on March 1. 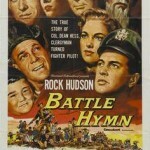 However, Ridgway knew that the ROK divisions needed to improve their performance, since he thought that only the First and Sixth ROK Divisions were ready to fight. The other divisions were expected to keep the KPA occupied and secure the supply lines from Communist guerrillas. 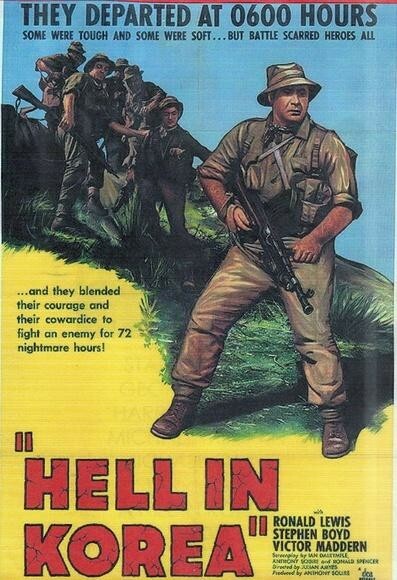 Operation Ripper involved six American and five ROK divisions, and the progress was relatively slow because Ridgway refused to permit gaps between the divisions, so all eleven divisions were limited by the speed of the slowest. Once Seoul had been retaken, Washington began moving towards a negotiated peace with China that would restore the original boundary between the two Koreas. It was vital that the US appear to be serious about negotiations because its allies in Korea were losing enthusiasm and neutral nations were beginning to see the war as evidence of US imperialism. The JCS told MacArthur that he should prepare a draft supporting a return to the original boundary. As viceroy of Japan, MacArthur no longer considered himself to be subject to orders from the JCS, and he boasted openly that he planned to change the war’s direction to the destruction of Communist China. Every time that MacArthur ignored the JCS’ instructions and was not punished, he became bolder. MacArthur gave Ridgway permission on March 23 to cross the border on his own discretion. It appears that MacArthur wanted to scuttle chances for negotiations by having troops cross the border but wanted plausible deniability. After Ridgway’s troops had successfully crossed the border on March 27, MacArthur flew in for another photo-op, where he told the press that the border had no military value. Republican pressure had forced the Truman administration to give the Chiang regime hundreds of millions of dollars and a firm guarantee of protection. However, they were still critical of the limited war, saying that the US should make the best use of its technological superiority, including atomic weapons. Believing that war must be taken to China, MacArthur proposed creating a no man’s land between Korea and China with radioactive waste. It is vital to remember that many Americans viewed the atomic bomb as simply a very powerful weapon in America’s arsenal, not a weapon of last resort. Aware that the State Department was planning to release a statement offering a ceasefire and hinting at negotiations on a UN seat for China, MacArthur issued a bold warning that China was completely out-matched militarily, and personal negotiations with him would be needed to ensure that the war did not expand. 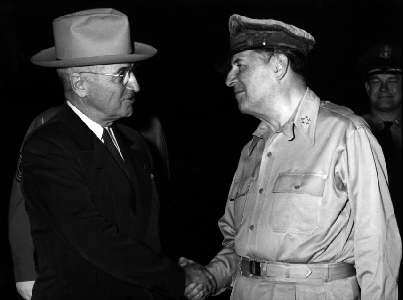 Informed of the statement on the morning of March 24, Truman immediately decided that MacArthur would have to go. American allies had understandably wondered who was in charge, the president or MacArthur. When a letter written by MacArthur that criticized the efforts of diplomats to fight the war with words, rather than weapons, was read to the House of Representatives on April 5, it was the final straw for Truman. Marshall and Acheson warned that there would be a huge fight due to MacArthur’s massive political support, so Truman agreed to wait while the JCS prepared for the transfer of command. Although intimidated by MacArthur, the JCS acknowledged that civilian control of the military meant that he had to be replaced. Army Secretary Frank Pace was already in Korea, so he was sent to Tokyo to inform MacArthur that he had been relieved of duty and would be replaced by Ridgway, who would be succeeded by General James Van Fleet, commander of the US Second Army. MacArthur’s supporters, especially Colonel Robert McCormick, owner of the Chicago Tribune, were following the situation closely. Fearing that MacArthur might resign first in order to embarrass the president, Truman ordered an aide to hold a press conference at one in the morning announcing that MacArthur had been relieved of duty. MacArthur learned from Armed Forces radio that he had been fired. Truman addressed the nation by radio on the evening of April 11 to explain why he had fired MacArthur, saying that since the general disagreed with the government’s policy he had to be relieved. 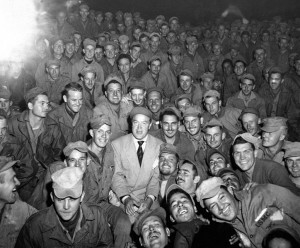 The White House was inundated with protests, largely due to the manner in which MacArthur had been fired, rather than the fact that he had been fired, but soldiers in Korea were happy to see him go. The obvious relief among the allied governments at MacArthur’s departure further aggravated Republican beliefs that Washington was paying more attention to its allies than its people. 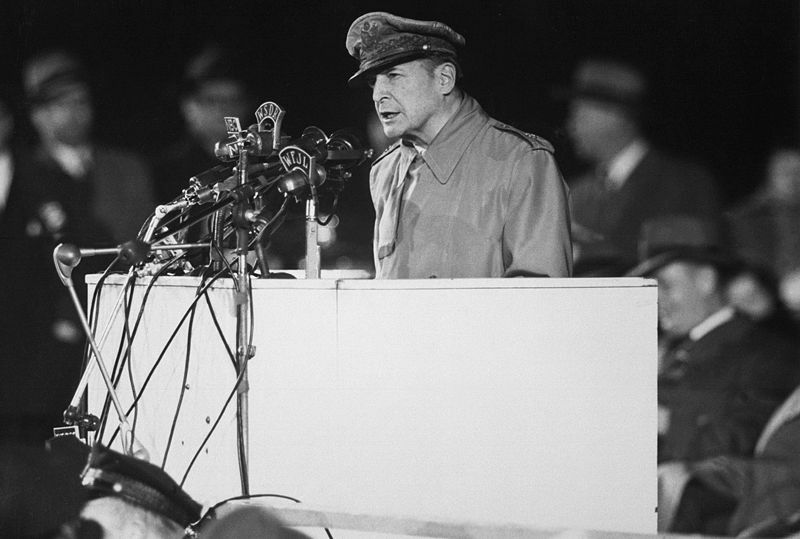 Douglas MacArthur speaking at Soldier’s Field after he was relieved. Congress had invited MacArthur to address a joint session and the address would be broadcast nationwide, so MacArthur felt that this speech would ensure success when he ran for president. The thirty-four-minute-long speech criticized what he called the Truman administration’s appeasement of China and called for stronger measures, including a naval and economic blockade. Several days later, MacArthur was honoured by a huge ticker tape parade in New York City. However, when the Senate opened hearings on his dismissal on April 25, MacArthur’s testimony revealed that he had played loose with the truth for years. MacArthur would deny during Senate hearings that he had deliberately sabotaged the State Department’s plans, but when he spoke to an American Legion event shortly after, he proudly declared that he had prevented the planned betrayal of Formosa and the offer of a UN seat for China in exchange for peace with China. 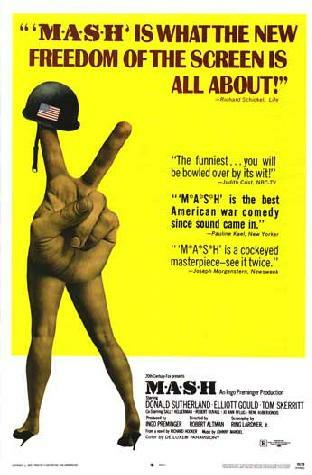 When George Marshall and Omar Bradley politely but firmly demolished MacArthur’s claims to understand either his own theater or the global nature of the battle against Communism, Republican senators tried to prevent the testimony of the rest of the JCS, hoping to limit the damage, but were overruled. By the end of the hearings, MacArthur was not longer a giant, just a tired, old man, who had clearly fallen behind the global situation. Despite the major failure of the Fourth Offensive, Mao insisted on another offensive to prevent the UN forces from entering North Korea. China launched its Fifth Offensive on April 22 with 350,000 men, but Peng stopped the offensive on April 29 because he had taken back most of the ground that he had lost. Over-confident, the newest units often continued to use the mass attacks that had proven effective during the civil war but simply offered juicy targets to American artillery. 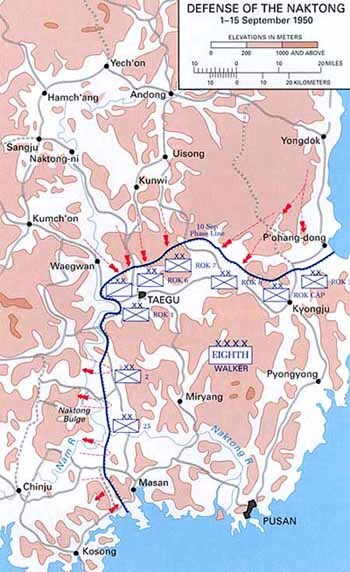 Although discouraged by the lack of discernible weak points in the enemy’s line, Peng had no choice but to launch another offensive on May 16 that avoided the main defenses in front of Seoul and attacked the flank, exploiting a gap between Almond’s X Corps and III ROK Corps. III ROK Corps collapsed but ROK I Corps held on, managing to outfight the Chinese divisions opposing it, while US artillery ripped into the Chinese mass formations. Reserve US units moved up to block any holes in the lines. Part of the problem was that Peng’s new armies lacked experienced commanders and his supply system was still insufficient for his needs. Five days after the offensive started, Peng had won Mao’s permission to retreat, but it was too late. Van Fleet’s counteroffensive hit the side of the Chinese army, and large numbers of Chinese were so worn down by cold and malnutrition that they surrendered, especially veterans of the Kuomintang who had been forced to enlist to survive. Given the large numbers of dead and captured Chinese and abandoned ammunition dumps, Ridgway mistakenly believed that the enemy would welcome negotiations. Operation Piledriver pushed the Chinese further back but the Chinese were not falling back as quickly as expected. Instead, the resistance was quite stiff, and Ridgway had never expected that he would be able to reconquer all of North Korea, so he was happy to stop at the Wyoming-Kansas Line in mid-June. The Fifth Offensive had failed because the Chinese lacked the transport needed to exploit any breakthrough, while the UN forces had learned to keep enough reserves to block breakthroughs, and then relied on its advantage in transport to launch rapid counterattacks. The CPV had lost roughly 70,000 to 80,000 men in a week. The CPV had fought five offensives in eight months, and each offensive had achieved less than the previous offensive. Although resistant to any questioning of his strategy, Mao had finally accepted the situation, and ordered the CPV to concentrate on destroying battalions, rather than divisions and regiments, returning to the Chinese Communists’ original strategy of inflicting numerous small cuts on the enemy in order to weaken them enough to make major cuts. This new strategy pleased Peng, since it was much better suited for the CPV’s resources. On the domestic front, Mao organized a national movement to “Resist America, Aid Korea” that spurred Chinese youths to join the Volunteers and raised donations from people for military equipment. However, the new defensive strategy was not popular with the North Korean leadership. Kim demanded an offensive to push the UN army down to the 38th parallel. Hoping to gain control of the parallel in preparation for starting negotiations, Peng did not oppose this request, and was in the process of planning a sixth offensive when Ridgway started his next offensive in late September. The CPV had already prepared defensive positions, so the fighting was heavy, especially around Kaesong. Ridgway had switched tactics, relying on concentrations of tanks to break through the CPV defensive lines, but the CPV commanders also adapted quickly, so the offensive ground to a halt on October 22. Several Chinese units had dug tunnels as shelter from enemy shelling, and Peng realized that tunnels would counterbalance the enemy’s overwhelming advantage in firepower. Peng and other CPV commanders also accepted the value of defending fixed positions rather than offensives, which was welcome news to Beijing since the government had spent half of its revenue on the military in 1951. China’s easy victories during the winter of 1950-51 had given the Chinese leadership hope that it could gain total victory. Fighting Van Fleet’s army, which had proven capable of inflicting horrendous casualties on the Chinese, had shown that military victory was impossible. Worse, the cost of buying supplies and weapons from the Soviets was causing serious damage to the Chinese economy. On June 23, Jacob Malik, Soviet Ambassador to the UN, announced that the Soviet Union hoped that a ceasefire could be arranged in Korea in the interest of peace. Believing that the Soviets controlled the situation, the US State Department was optimistic, and failed to notice that neither the Chinese nor the North Koreans had expressed support for the statement. The UN team was led by Vice Admiral C. Turner Joy, and included an army major general, an air force major general, a rear admiral and an ROK representative, Major General Paik. General Nam Il, chief of staff of the NKPA, led the opposing delegation, including two more North Koreans and two Chinese. When peace negotiations began on July 10 in Kaesong, the leaders of the western nations hoped that a ceasefire would quickly end the war, but the Communists had decided to shift the war to the negotiating table. Agreeing to hold the negotiations in Chinese-held territory proved to be a grievous error. The Communists portrayed the arrival of the UN negotiators under a white flag as a surrender, and the UN negotiators were forced to sit in chairs lower than the Communist negotiators, who wore the Western delegates down with endless arguments about tiny procedural details. The negotiations, or the appearance of negotiations, dragged on until August 22, when they were ended by the Chinese. Chinese casualties had been so extreme that they suggested negotiations on October 7, shifting the location to the small village of Panmunjom. The Chinese failed to win the demarcation line as the 38th parallel but finally accepted another line and signed the agreement on November 26. However, the negotiations then moved on to the issue of POWs. Mao received daily reports on the progress of the negotiations, and he had resolved from the beginning that the Communists could not be seen as signing a treaty from a weak position. Therefore, Chinese negotiators were instructed to delay until the UN negotiators were willing to accept compromises. Aware of the debate in Washington over funding the war, the Chinese leadership believed that the Americans could not afford the expense for very long because the United States fought a more expensive war than China, could not match China’s ability to absorb casualties, was losing the support of its allies and believed that Europe, not Korea, was the key strategic area. Meanwhile, the Chinese soldiers dug more trenches and tunnels to create a line of fortifications that stretched 155 miles from coast to coast. An army of 855,000 soldiers manned the defenses, which proved invulnerable to artillery fire, so the lines remained basically unchanged at the end of the war. The Communists rested safely behind their walls to outwait the democracies, which had to justify the cost to their citizens. The Chinese would find it easy to outwait the democracies partially because the democracies’ soldiers had no emotional attachment to the Koreans and everyone thought that Rhee’s government was incompetent, brutal and corrupt. South Korea was in terrible shape, since six million of the 21 million people were refugees, and poor nutrition was making increasing parts of the population vulnerable to the numerous diseases in the region. The economy was a disaster. South Korea was filled with poverty and Rhee’s official salary was USD 37.50 a month but a houseboy for foreigners could earn USD 30 to 60. Watching Rhee’s goons execute political opponents in cold blood without a trial naturally decreased the soldiers’ willingness to risk their lives. Rhee refused to listen to any of his allies’ requests that he introduce more democracy and rule of law, and crack down on corruption. When the National Assembly defied Rhee and voted in May 1952 to end martial law in the Pusan area, military police surrounded the building on May 27 and arrested 50 members of the assembly. After marching eighty legislators into the assembly hall on July 4 to pass constitutional amendments that put governmental power in Rhee’s hands, he held a presidential election on August 5, where he claimed to receive 72 percent of the vote. From that point on, there were no checks on Rhee’s power. Any protests by allied governments were ignored. It became clear after the war the Kim’s regime had surpassed Rhee’s administration for brutality but the only difference between the two was a matter of degree. Although some units did adopt a charitable attitude and try to improve the lives of the locals, many foreign troops viewed the locals as less than human and would not hesitate to shoot refugees or even ROK troops if they became nervous or suspicious. It was hard to not adopt a harsh attitude when foreign troops repeatedly saw ROK officers execute or torture troops for minor offences. 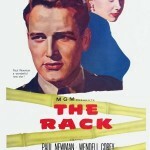 Realizing the desperate need for proper intelligence, Ridgway permitted the CIA to operate in Korea. 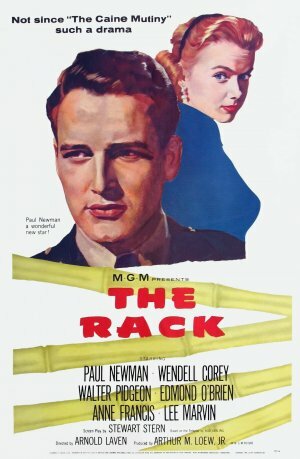 The CIA, MacArthur’s intelligence organization, the US Navy and the British navy were landing groups of Korean operatives to gather information but they rarely cooperated with each other. Focused on internal control, Rhee’s intelligence service had executed anyone with ties to the North, so the UN forces never gained much intelligence. After numerous parties had failed to return or were captured and forced to send back misleading information, the CIA realized that the NKPA had established an iron-clad grip on the north. Once the Chinese had built the defensive lines across the peninsula, and milked the negotiations of propaganda value, the North Koreans knew that they would never be liberated. Since hundreds of thousands of refugees had moved south, there were few anti-communists left in the north. The failed covert operations wasted hundreds of motivated, disciplined Korean troops who would have been better-used stiffening the ROK units. The NKPA systematically massacred prisoners but the Chinese usually took prisoners. However, the Chinese did not recognize the Geneva Convention and since their own troops frequently starved, there were few resources left over for prisoners. 2,701 out of 7,140 US prisoners died in captivity. On the other hand, UN soldiers frequently admitted that they had shot prisoners or even refugees when the situation became serious, especially during the critical first six months of the war. Prisoners would spend weeks marching to PoW camps, often during the freezing winter. Anyone who was too ill or wounded to march would usually die from exposure. Prisoners were interrogated to determine whether they were poor or rich peasants, so the questions usually involved land, cows and pigs, to the confusion of the urban-dwelling captives. The prison camps run by the North Koreans were the worst because they genuinely did not care if the prisoners survived or not. Given a subsistence-level diet, the men focused on existence and the stronger took food away from the weaker, so men died on a daily basis. Many of the younger, less-experienced American soldiers had trouble adapting to the harsh conditions and alien diet, so they simply gave in. Men with tougher attitudes would eat anything and survived. Prisoners from other nations like the Philippines were accustomed to a rice-based diet and better able to adapt. Conditions improved dramatically in the summer of 1951 after the Chinese decided that it would suit their purposes that the prisoners survived, so the diet greatly improved. The Communists made a determined effort to convert their prisoners. Twenty-one Americans and one Briton refused to be repatriated at the end of the war. 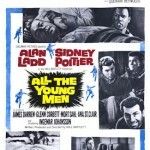 More shocking to the US, seventy-five former prisoners were later identified as Communist agents. British vice-consul George Blake was captured in June 1950 and released at the end of the war, but was revealed as a Soviet agent in the Foreign Office a decade later. Their ragged uniforms were replaced with Chinese quilted suits and caps to weaken their identity as soldiers. The prisoners were divided into platoons and companies with Chinese-appointed leaders. Any sign of listening to their own officers or NCOs would be punished. NCOs or officers who refused to recognize Chinese authority would receive solitary confinement, sometimes for months. POWs during WWII had been able to draw strength from solidarity but that was intentionally destroyed during Korea. The Chinese employed the same crude indoctrination techniques that had proved so successful with KMT troops during the civil war but produced negligible results with western POWs, since it was obvious that western society offered a better life than the poverty of Chinese soldiers. However, the situation did cause many men to collaborate in the hope of better conditions. 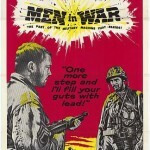 The US army determined that roughly one in seven of all US prisoners was guilty of serious collaboration. The Chinese had literally created a logistics system from scratch because they had always supplied themselves by capturing supplies from the enemy, and the severe growing pains had been exacerbated by constant UN bombing of supply routes. However, the logistical system had improved greatly by the spring of 1951, and a combination of increased anti-aircraft batteries and an air warning system reduced supply truck losses from 40 percent to 1 percent by the summer of 1951. Determined to prove that air power could win the war, the USAAF launched Operation Strangle in June 1951. Three-quarters of land-based bombers and all of the carrier-based bombers were dedicated to hammering the road and railroad network in North Korea to prevent the supply of CPV troops manning the lines at the front. The bombing campaign should have been aided by catastrophic flooding in North Korea during the summer of 1951 that destroyed hundreds of bridges. However, the CPV shifted all combat troops in the second defence line to help rebuild roads, while careful evaluation of the schedule of the UN air raids ensured that transport of supplies had increased by January 1952. When Lieutenant General Mark Clark replaced Ridgway, he gave the air force and navy permission to bomb all of the North Korean hydro-electric plants to help speed up negotiations, and a series of raids were launched over four days from June 23 to 27. The large size of the raids, including 84 F-86s for one raid on Sui-ho, ensured that the Americans lost only two planes and managed to knock out eleven out of thirteen power plants, leaving North Korea without power for two weeks. Aware that the USAF was not bombing north of the Yalu River, the Chinese leadership forbade the PLAAF to bomb south of the 38th Parallel because they knew that the PLAAF could not guarantee the safety of bases in China. The current stalemate favored the Chinese, but an expanded war would drain more resources than the Chinese economy could bear. By the summer of 1952, 343 planes had been lost, mostly fighter-bombers, and the operation had clearly failed. A Chinese division could survive on fifty tons of supplies per day, and the Chinese managed to move 1,000 to 2,000 tons of supplies a day throughout the operation. Air power advocates claimed that the operation had prevented the Chinese from launching another offensive but given the huge effort they had made to build their defensive lines, it seemed very unlikely that the Chinese had plans for another offensive. By the end of 1952, any industrial target of significance had been destroyed and Pyongyang had been reduced to piles of rubble but the Communists had made no indications of considering surrender. Governments of democratic nations like the United States and Britain never accepted that the totalitarian governments of China and North Korea were unlikely to surrender simply to prevent civilian casualties. The Chinese leadership had strongly emphasized the need for moral courage to overcome the Americans’ technological superiority, which they did by using former KMT soldiers who had been trained by Americans to criticize US soldiers as weak and spoiled, instituting a powerful propaganda campaign to show Korean women who had been raped by American soldiers and Koreans who had lost their families to American bombers, and by using brave Chinese soldiers who died heroically as symbols to motivate the rest of the army. Finally, Peng pushed the army and corp commanders to place their HQs close to the front, and he himself frequently visited the front, where he became well-known for demoting incompetent and cowardly senior officers. Each company had a political officer who was responsible for observing and boosting unit morale, and the political officer was always a party member. The political officers also led discussions within the unit to decide which soldier should be nominated for an award and to discuss what type of bravery deserved what level of award. The party organized campaigns back in China to ensure special treatment for the families of volunteers, arrange ceremonies for the families of soldiers who had received awards and then require family members to write the soldiers about the excellent treatment that they had received from the party. The campaign to motivate Chinese to donate money to pay for heavy weapons from the Soviets initially relied on people’s voluntary donations but the donations soon became mandatory, so factory workers, farmers, and government officials had to pledge to give a percentage of their wages each month. The campaign ended on June 24, 1952, after raising enough money to pay for 3,710 MiG fighters. Since large open-air shows were extremely dangerous, hundreds of small troops of entertainers toured the tunnels and bunkers, putting on short performances or playing a few songs. However, the emphasis on aiding North Korea almost backfired because the Chinese soldiers’ pride in aiding the Koreans offended many Koreans, who were not happy about being reminded that they needed saving, so a campaign was organized to ensure that the CPV troops treated Koreans well. Despite the best efforts of Peng’s HQ, which repeatedly stressed that the CPV could not seize food from Korean civilians, units did have to force villages to supply them in order to be able to continue fighting, even though the villages could barely feed themselves. Worse, discipline was initially lax when the CPV first entered Korea, as commanders made no effort to punish soldiers who stole and raped. However, CPV HQ made many efforts to win the support of the Korean people, even sending thousands of soldiers to help farm the land after catastrophic flooding in the summer of 1951 had ravaged much of the country’s arable land. When the war entered stalemate, many CPV soldiers became increasingly vulnerable to the UN’s propaganda, which said that the Chinese leadership did not care about them and encouraged troops to desert. 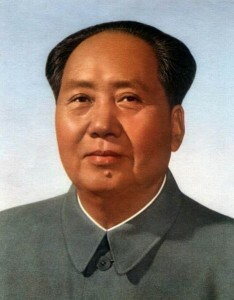 Once the war entered the static phase in late 1951, Mao focused most of his attention on internal issues, namely the campaign against the “three antis” (opposing corruption, waste, and bureaucratism) and the “five antis” (opposing bribery, tax evasion, theft of state property, cheating on government contracts and stealing economic information), claiming that people who committed these crimes needed to be treated like anti-revolutionaries. Despite the static nature of the fighting, the UN soldiers were exposed to the constant threat of death in a war that held no meaning for them, especially since they knew that people back home had no interest in the war. The only reason why morale lasted until the end of the war was that people believed in their government without question. The rear areas immediately behind the front lines had been ruthlessly cleared of civilians to prevent communist infiltrators, so there were no bars, movies or any form of recreation. The lines were made up of massive fortifications connected by huge tunnels with bunkers to shelter troops whenever one side or the other started an artillery duel. No one dared emerge during the day, so all movement was at night and any activity in no man’s land would provoke flares and large searchlights. Units usually spent two or three months on the line, but even when there was no fighting, time was occupied standing guard, moving supplies (usually with the invaluable aid of Korean porters), carrying out patrols and the endless digging to strengthen the lines. Although fighting was rare, there was always the danger of a sudden Chinese attack that would try to push through the barbed wire and reach the hill before artillery support could be called. The static war deprived the UN forces of most of their technological advantages. There was no hope of a breakthrough. If an attack was repelled, everything continued as before. If the UN unit was driven out of its position, other units would be sent to retake it. While the situation mirrored WWI trench warfare, the massive concentrations of troops in one area to achieve a breakthrough did not occur. Instead, the goal was to spur negotiations by capturing a hill or driving off an attack. A big push would have produced heavy casualties but no more than the losses caused by the constant skirmishes. Summer was unbearable for Western soldiers because of heat and insects, while disease was a constant danger due to lack of fresh water in most positions. Winter was freezing, so any chore became almost impossible, while the men could barely move because they wore so many layers. It was so cold that every army in the UN force agreed that no soldier would be required to spend more than one winter at the front line in Korea. Relief was leave in Japan where the soldiers were treated with surprising friendliness by the Japanese. The Korean War restarted the Japanese economy, which supplied the troops fighting in Korea and then entertained them when they were on leave. The situation was worse for the Chinese since UN air superiority meant that they could not move at day even in the rear. The UN had a surplus of bombs, unlike the Chinese, so any glimmer of movement would trigger a rain of bombs or artillery shells. The men lived in tunnels where the lack of water, fresh air, and proper food produced breeding grounds for disease, so the men preferred the cold weather, even though they froze. While the Western soldiers grumbled about their low pay, the Chinese were officially volunteers and received no pay. The Chinese overcame their lack of artillery by honing their encirclement and infiltration skills in order to get as close as possible before launching the attack, and one unit would always be assigned to block the route used by reinforcements. The tunnels constructed during the fall of 1951 had been hastily dug, so some had collapsed during heavy shelling, while others had made for grim quarters during the winter. A meeting among top CPV commanders in late April 1952 set the standards for the tunnels: the roof of the main cavity must be 100 feet thick, each tunnel must have at least two exits, the inside had to be four feet wide and 5.5 feet high, and all tunnels had to connect to the main system. The Chinese soldiers were not rotated as often the UN forces, since the first major rotation of armies was completed by September 1952, but the UN soldiers knew that their rotation would occur in a fixed period, so they were often reluctant to patrol aggressively. This frequently led to conflict with professional officers who wanted to make a reputation or could not accept the concept of a limited war. Unlike the British, which rotated units in and out of Korea, the Americans used a point system where men would be sent home once they had gained enough points. Unfortunately, units would contain soldiers with varying levels of points, and the soldiers who were “short” would be extremely reluctant to risk their lives, which naturally weakened the unit as a whole. The rocky terrain and narrow hilltops meant that it was extremely difficult to build solid bunkers that could shrug off enemy artillery fire. The Chinese had handled the problem by tunneling into the mountains but the UN forces, especially American units, had built bunkers on top of the hills, so many American soldiers died when the bunkers collapsed during heavy shelling. The trench line had been constructed quickly and usually without the guidance of engineers, as newly arrived engineers recognized to their horror. Since the Chinese had simply dug into the hills, their trench system presented a featureless maze which denied the enemy any targets, thus negating the Americans’ overwhelming advantage in artillery. The drawback to the remarkable Chinese defenses was the inability of their artillery to support any large-scale breakthrough in the UN trenches because their artillery could not be moved forward from the caves but the Chinese did not want a breakthrough. They had learned the hard way that they could not match the United States when fighting on open-ground. Both sides would send patrols into No Man’s Land to test each others’ defenses, capture prisoners and give warning of large-scale attacks. Despite radio communication and artillery support, communication breakdowns happened frequently when shelling would cut the wire for the phones, while the Chinese repeatedly proved able to infiltrate past stronger units to ambush smaller units in the dark. Since the front-line units were not being attacked, the commanding officers in the rear would understandably dismiss the seriousness of the threat faced by the other units and send piecemeal reinforcements that would be chewed up. However, if a UN patrol was well-led or simply had the good fortune to notice the enemy in time, artillery support would shred the Chinese. The outposts beyond the main UN line were lightly defended hills that were intended to serve as bait that would lure the Chinese from their catacombs out into the open ground between the opposing lines where they would be shredded by artillery. Recognizing that the positions were extremely risky, units were only required to spend five days at a time on outpost duty. 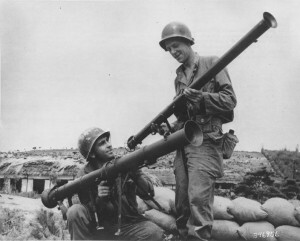 The “flash fire” technique was used to clear Chinese attackers from an outpost. Using pre-arranged coordinates, the artillery in the rear would hit the sides and front of a ridge where an outpost was situated and would fire two rounds per second for several minutes to separate the main attacking force from any troops that had infiltrated the perimeter, thus giving the outpost defenders time to deal with the immediate threat. The issue of territorial boundaries had been settled by February 1952, but the negotiations continued because the issue of prisoner exchange remained unresolved. The memory of hundreds of thousands of Russians prisoners being forced to return to the Soviet Union at the end of WWII haunted the leaders of the Western governments, therefore the UN negotiators intended to only repatriate those Chinese and Korean prisoners who wanted to go home. However, the Chinese and North Korean governments could never accept the humiliation of thousands of prisoners preferring the west to communism. When the Communist negotiators learned that only 70,000 of the 132,000 prisoners had agreed to return, chances of an early agreement disappeared. While the UN negotiators thought that they were standing firm on their principles, the leadership in Beijing viewed the refusal of the UN negotiators to compromise on a minor issue like the POWs as evidence that the western powers still did not view China as an equal. Although captured enemy soldiers were interrogated before being sent to the prisons on the island of Koje-do, near Pusan, no effort was made to either explain democracy to them or to learn about life in Communist China. 70,000 Chinese and North Korean prisoners were confined in a small area, and were not forced to keep their areas clean, so disease was rampant. The American guards spent their time getting drunk, gambling and visiting prostitutes, rather than actually monitoring the prisoners. Embarrassed to learn that a majority of prisoners did not want to return home, the governments of China and North Korea took action to correct the situation. Communist political officers allowed themselves to be captured in order to gain control over the POWs. The fight for control did not take place in secret. Squads of POWs were suddenly seen drilling with wooden rifles or attending lectures, and prisoners who refused to listen to the commissars were beaten or even murdered. The prisoners began to make demands under the leadership of the commissars, but instead of re-establishing control by arresting the ringleaders, the guards gave into the demands. On several occasions, prisoners attempted to force their way out of the compound gates, and were driven off only after several were killed. The Communist strategy was to gain propaganda victories by portraying the camps as barbaric hell holes with high death rates. On May 7, Brigadier General Francis Dodd, commander of the prison, was seized during a visit to a compound that held some of the most fanatical prisoners. The incident gained international attention and he was released two days later, after signing a document that admitted the validity of the prisoners’ complaints. Officials from allied nations visited the camp and realized that the guards had no control over the prisoners. When newly-assigned guards began inspecting the compounds, they found that the prisoners had built blacksmith shops to forge weapons. Brigadier Dodd and his entire staff was relieved of their duties and he was demoted to colonel. Conditions improved slightly and an effort was made to isolate the communist leaders, but the commissars were now embedded among the POWs. After winning the election, Eisenhower made a secret trip to Korea, where he spent three days inspecting the front. Aside from an hour-long courtesy meeting with Rhee, most of the time was spent with General Mark Clark, who had replaced Ridgway, and Van Fleet, commander of the Eighth Army. The two generals were surprised to find themselves discussing the conditions for a truce. The leadership in Beijing would have been equally surprised since they had concluded that Eisenhower would order a major offensive, most likely involving an amphibious assault. With the goal of creating the image that the United States was committed to a strong ROK, Eisenhower’s administration announced that it would spend USD 1 billion to expand the ROK army to 655,000 men. 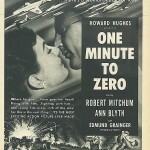 More important, the United States successfully tested its first tactical atomic weapon. Having demonstrated that its atomic artillery shells gave the United States the option to attack Manchuria, Eisenhower’s administration let Moscow and Beijing know that there would be bombings north of the Yalu unless peace was achieved at Panmunjom. It is unknown whether or not Eisenhower’s administration was bluffing, but Moscow was unwilling to test its will. Anticipating amphibious offensives behind the main lines, hundreds of thousands of CPV soldiers had labored day and night to build 430 miles of tunnels and 2,000 miles of trenches along the coast. The Chinese leadership believed that the assault would take place in the spring of 1953, and would be the UN’s last major effort in the war, so it had to be successfully repulsed. Instead of a complex series of large-scale amphibious assaults in Korea and China, the United States’ next move was a proposal from Mark Clark on February 22 to exchange sick and wounded prisoners of war. 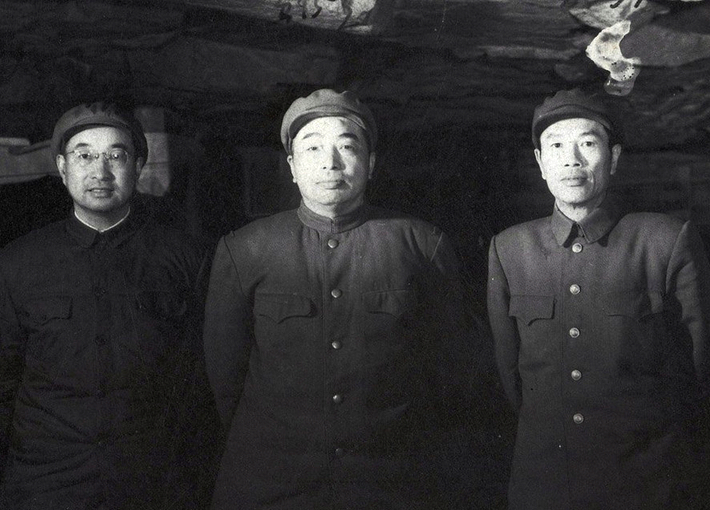 Zhou Enlai officially accepted the proposal on March 28 and suggested that negotiations be restarted at Panmunjon. The Chinese leadership did not believe that the Eisenhower administration would be significantly different but it wanted to win the battle for world opinion. Determined to keep the troops ready for a protracted war, Mao ordered that the CPV not be informed of the new stage of negotiations because the soldiers might start thinking about peace. Events were moving in America’s favor. Stalin had died on March 5, 1953, and his successors were less aggressive in their hostility to the United States. Negotiations at Panmunjom began to make headway, and there was a mini-exchange of prisoners, called the Little Switch, between April 20 and May 3. 700 Chinese and 5,100 Koreans went north, and 450 Koreans and 150 non-Koreans came south. However, the sight of the prisoners released from communist captivity was a shock, since they had clearly suffered from untreated wounds and lengthy starvation. The Communists proposed that a Neutral Nations Repatriation Committee composed of Poland, Switzerland, Czechoslovakia, Sweden and India would have four months to screen prisoners. In order to speed negotiations, General Clark had been given permission to intensify the bombing of dams in North Korea, and UN negotiators stated that one neutral power would screen prisoners within ninety days or all unwilling North Korean repatriates would be freed and bombing would intensify further. Believing that he was being abandoned, Rhee threatened to fight alone if the Chinese were allowed to remain in Korea. Clark realized that Rhee wanted a security pact and more economic aid or he would sabotage the negotiations. However, Rhee’s fury reached new levels when he learned that the UN delegation had agreed that Koreans, as well as Chinese, would be handed over to the neutral country to determine whether or not they wanted to be repatriated. When Rhee threatened to leave the UN military command, Eisenhower’s administration prepared to execute Plan Ever-ready and forcibly replace Rhee with either his prime minister or a military regime. On June 8, the negotiators agreed that the prisoners who wanted to go home could do so immediately, while the rest would be administered by the Repatriation Commission for ninety days and their governments would have access to them during that time. The details were still being worked out on June 18, when four POW camps administered by ROK troops suddenly released 25,000 North Koreans who had said they did not want to go home. The escaped POWs disappeared into the homes of South Koreans. There had been rumors but the senior American officers had never believed that Rhee would actually do it. Rhee’s government had demonstrated efficiency at a dangerous time but the Communists realized that Rhee had acted alone, and allowed the negotiations to continue. Now only Rhee needed to be convinced, and he needed to be convinced quickly since the Communists had launched a final offensive to ensure that they received a favorable peace. The target was changed from the Americans to the ROK units after Rhee announced that he would keep fighting regardless of any armistice. The ROK forces were hammered by a massive assault on June 10 and then again on July 13, but UN forces used their massive artillery advantage to hold the front. However, the CPV did not follow up the offensive because they feared a heavy response from the Americans. Twenty days of fighting cost the UN 17,000 casualties, and the Chinese twice as many, but they could afford the casualties. Rhee finally gave in on July 9, and said that he would not oppose the armistice, if not sign it. The chief American negotiator, General William Harrison, Jr., had announced on two separate occasions between July 11 and July 16 that Rhee would not be permitted to disrupt the armistice. Mao’s response was to tell Peng to sign the armistice. The armistice was officially signed on July 27 by Mark Clark, who bitterly realized that he was the first American commander to sign an armistice that had not been proceeded by a victory. When the ceasefire officially started, UN troops were amazed by the huge numbers of Communist troops that emerged from the tunnels to exchange rice wine for chocolate and cigarettes. The shooting war had ended but the propaganda war continued. The Communist soldiers that had agreed to go home were determined to show that they had been treated badly, so they either shredded their newly issued uniforms to look like rags or threw away their uniforms and boots in order to return home untainted by capitalist goods. Roadsides were covered for miles by discarded uniforms and boots. The UN prisoners arrived in sad shape, both physical and emotional. Large numbers were physical wrecks and many struggled with the guilt caused by collaboration. Some were accused of collaboration by bitter fellow prisoners the moment they crossed the armistice line. The UN released 75,823 Communist prisoners, and the Communists returned 12,773 men. 22,604 UN prisoners were processed by the neutral commission, and 137 accepted repatriation, while the rest settled in Formosa or South Korea. 325 Koreans, 21 Americans and one Briton refused repatriation, to the massive shock of the West, especially the United States, which would fuel fears of brainwashing. Instead of seizing the propaganda advantage of Westerners who had rejected their homes, the Chinese made no effort to integrate the Westerners into China, forbade them to learn Chinese, and kept them isolated. Most eventually ended up back in the United States after years of frustration in China. 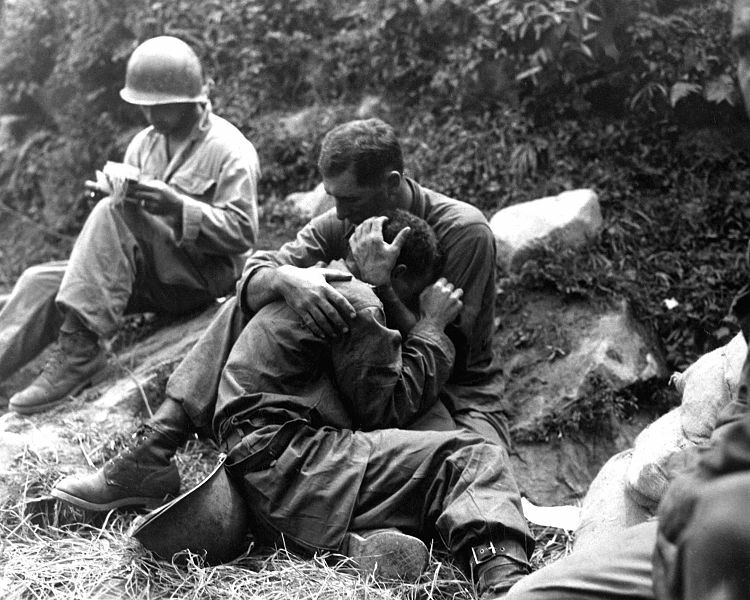 1,319,000 Americans served in Korea, and 33,629 died. The ROK lost 415,000 dead. The Commonwealth countries lost 1,263 dead. The remaining UN nations lost 1,800 dead, nearly half of whom were Turkish. Roughly two million Chinese soldiers and laborers served in Korea and took 390,000 casualties, including 148,400 dead. The Americans believe that 1.5 million Chinese and North Koreans died. The Korean War had been an American war, with reluctant support from its allies. However, the expense and pointless nature of maintaining a stalemate greatly decreased the willingness of those allies to sign on for the global fight against Communism. Given the blatant American leadership of the UN forces, national governments would be very reluctant to enter another war under the UN flag. The US military ended the war with an improved army and a belief that it could prop up any Asian nation against a Communist opponent if sufficient resources were applied. Unfortunately, they did not realize that Communist leaders would also learn to avoid direct fights with the US military where it could use its overwhelming technical advantage. Most important, the US military never examined its failure to adapt tactics to the situation, so it did not really learn from its errors. Many senior US officers were extremely frustrated that they had not been permitted to end the war with a clear victory. However, the CIA expanded from a tiny, ignored agency to a large, aggressive organization with bases all over Japan and South Korea. Unlike WWII, the returning US soldiers were not treated as heroes, and were stunned to learn that no one was interested. The war would become known as the Forgotten War. While the Americans were dissatisfied with the war and soon forgot it, the Chinese celebrated the armistice and believed that they had won a victory. Driving the Americans and the ROK down to the 38th parallel strengthened China’s borders with a buffer zone, otherwise the provinces of China that bordered Korea would have been in danger of invasion. In fact, the Chinese leadership believed that American losses during the war had ensured that the United States would not invade China, at least not in the near future. Having fought the most powerful nation and its allies to a standstill, the Chinese were understandably proud, especially given the previous century of humiliating defeats at the hands of western powers. In particular, the political department of the PLA became convinced that Mao’s strategy of emphasizing attitude over equipment and technology had been vital. In addition, the Chinese intervention had won the respect of the rest of Asia and the trust of the Soviets, although it is hard to say whether Stalin’s death may not have been the key factor. Kim Il-Sung increased North Korea’s ties with China, while the Vietminh began a stronger campaign against the French with Chinese assistance shortly after the end of the Korean War. Resources provided by the Chinese helped bring about the victory at Dienbienphu, as well as the example that encouraged the Vietminh to fight the United States a decade later. Pilots based on an American carrier perform bombing missions during the Korean War. 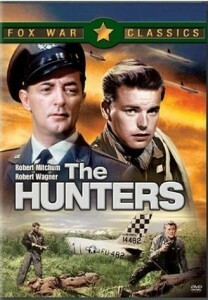 An American Air Force officer is sent to South Korea to train Korean pilots shortly before the north invades. 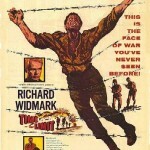 An American officer volunteers to investigate reports of brutality in North Korean camps and discovers that the American soldiers are facing the extreme torture with courage. The life of Joseph McConnell, a navigator in WWII, who became the highest scoring US air ace in the Korean War. 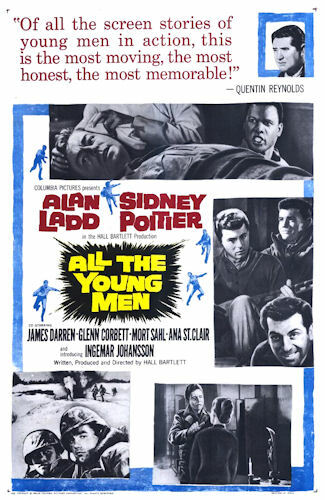 A trio of young Marines engage in hijinks in Occupied Japan until the Korean War breaks out. 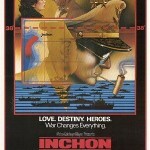 The Korean War-Max Hastings, New York: Touchstone, 1988. An excellent summary of the war, and a great starting point for readers unfamiliar with the Korean War. In Mortal Combat: Korea, 1950-1953-John Toland, New York: William Morrow and Company, Inc, 1991. The background to the situation in Korea before the invasion is an extremely inadequate four pages. The actual reactions in Korea and in Washington to the invasion are shown well, but the author devotes a couple of paragraphs to MacArthur in Tokyo, even though MacArthur’s delayed response was crucial at that stage. In fact, he seems to take MacArthur’s version of events, including his brief trip to Korea on the second day, at face value. 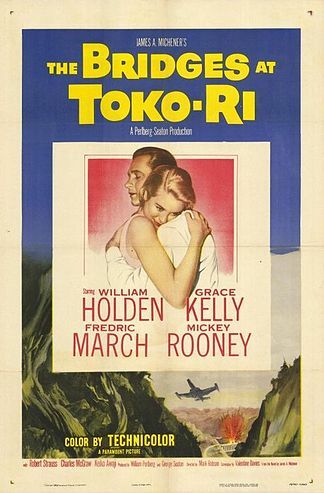 Toland even portrays the meeting at Wake Island between Truman and MacArthur in a positive light, ignoring MacArthur’s dismissal of the Chinese threat. Toland places much of the blame for the rash drive to the Yalu after Inchon on Washington, saying that the leaders were too far away to properly understand the situation, but neglecting to mention that they were totally dependent on MacArthur’s HQ at Tokyo for information. Toland presents a favorable view of President Sygman Rhee as a patriot who was willing to die for his country, ignoring the constant problems caused by his repression of political opponents. On the other hand, Toland pays more attention to Walker, giving him credit as Patton’s best tactical general, and shows that several ROK divisions fought quite well. Far too much space is given to the adventures of reporter Marquerite Higgins and three male colleagues. The Coldest Winter: America and the Korean War-David Halberstam, New York: Hyperion, 2007. The first chapter is a brutally honest description of the sudden attack and destruction of the Eighth Cavalry at Unsan, when much of the leadership of the Eighth Army thought that the war was almost over. However, it is not a military history. Halberstam basically ignores the actual North Korean invasion and the ROK collapse, but devotes a considerable amount of space to MacArthur’s background, including his father’s military career and its influence on MacArthur. Unfortunately, the author follows the view that Walker was simply a competent if unimaginative general, although he comments that Walker was never given credit for winning the battle of the Pusan Perimeter. The book’s strong point is its detailed explanation of the political atmosphere in the US, including the rise of the right-wing, anti-communist wing of the Republicans and Truman’s relationship with his political opponents and government, as well as the rush to demobilize the army at the end of WWII. Halberstam is more interested in the United States at the time of the Korean War and why it ended up fighting in Korea than the actual war. The key battles at Unsan and Kunuri are presented to show how the disconnect from reality in MacArthur’s HQ led to the deaths and imprisonment of thousands of men during the initial Chinese offensive. Halberstam ends the narrative with a lengthy look at the fall of MacArthur, and then shows how the Korean War dragged on until both sides were sufficiently exhausted to end it. While Americans were so happy to put the war behind them that it became known as the Forgotten War, the Chinese felt pride in having fought both the United States and its allies to a stalemate, which enabled Mao to rise from first among equals to unchallenged leader of China. Finally, the two Koreas are compared, making the point that despite the needless waste of human life and lack of clear victory, North Korea is a dark, fearful nation that can not feed itself, while South Korea gradually freed itself from a dictatorship, embraced democracy and became an economic powerhouse. Odd Man Out: Truman, Stalin, Mao, and the Origins of the Korean War-Richard C. Thornton, Washington, D.C.: Brassey’s, 2000. Thornton’s thesis that Stalin convinced Kim to initiate the Korean invasion in order to pre-empt the Chinese conquest of Formosa, which would have led to a normalization of relations between China and the United States, requires a leap of faith. Mao was a Chinese nationalist first and a communist second, but the likelihood that he wanted to conquer Formosa to start relations with the United States is hard to take seriously. While there were elements in the Truman administration that wanted to normalize relations with China, and were willing to sacrifice Chiang Kai-Shek to do so, it was fervently opposed by both the powerful anti-communist faction within the Republican party and the pro-Chiang China lobby. Also, Mao seems to have realized that he needed Soviet technical assistance, so the few minor overtures that he made to the US were mainly intended as bargaining points with Stalin. Moreover, the idea that the United States had deliberately kept the ROK weak to encourage an invasion, which would provide a reason to start re-arnament in the US, is a bit far-fetched. Pre-occupied with numerous potential flashpoints in Europe, the ROK was low on the Truman administration’s list of priorities. Clearly an admirer of MacArthur, Thornton explains the transfer of X Corps by sea to attack Wonsan as a move to block an expected Chinese intervention, not a massive blunder made by a megalomaniac, who believed there was no authority higher than him in the Far East. Thornton describes the Wonsan landing as a planned attempt to lure Mao into a trap, not an act of hubris. In fact, Thorton believes that all of the key players are careful, calm chess masters, who plan several moves ahead. Admittedly, they were intelligent and skilled at political strategy or they would not have survived, but he ignores the human aspect, namely the jealousy, pride, paranoia and over-confidence that fuelled many of the strategic decisions. Mao’s Military Romanticism: China and the Korean War, 1950-1953-Zhang, Shu-Guang, Lawrence, Kansas: Kansas University Press, 1995. A very useful book that examines the debate within China to enter the war and its participation in the war. Rather than treat China’s actions as happening in a vacuum, Zhang explains that the Chinese leadership genuinely feared that the Americans would use the Korean War as an excuse to invade China, while a more assertive CCP was trying to export its revolution and compete with the Soviets for influence among Asian revolutionaries, especially the Vietminh. He also presents the shaky cooperation between the Chinese and the North Koreans, including the understandable Korean resentment at having to be rescued and the Chinese generals’ low opinion of the Koreans’ strategy. Zhang relates the extreme hardship borne by the Chinese soldiers and the efforts of the CPV command, especially Peng Duhuai, to reduce that burden, despite China’s limited resources. Finally, an insightful concluding chapter explains why the Chinese had a more favourable view of the war than the Americans, and how this perception of victory motivated them to adopt a more confrontational attitude in the future. China’s Road to the Korean War: The Making of the Sino-American Confrontation-Chen Jian, New York: Columbia University Press, 1994. The author admits that like most historians, Chinese and Western, he had believed that China had only decided to enter the war after American forces crossed the 38th Parallel, but when new sources of information became available in the 1980s, he discovered that Mao had begun planning an intervention in August 1950. In fact, he concludes that the Chinese intervention would have been almost impossible to prevent. It is an invaluable book that presents the Chinese viewpoint, examining the logic behind the Chinese decision to intervene in the war. Interestingly, the Chinese reasons resembled those of the Americans: just as the United States was determined to oppose the spread of communism in Asia, the Chinese knew that a UN victory would damage the communist cause in Asia. The Americans naturally could not be permitted to have a base on China’s borders, especially given American support for the KMT in Taiwan, Rhee in South Korea and the French in Indo-China, thus pressing on China’s borders. Most important, the CCP knew that it could use a war to rally people behind its plans to increase party control over the nation, proving that domestic factors fuel decisions to enter wars, just as right-wing criticism of Truman for losing China helped motivate his strong stand in Korea. Jian marshals an impressive amount of evidence and arguments to support his position, and he makes a very convincing case. MacArthur’s War: Korean and the Undoing of an American Hero-Stanley Weintraub, New York: Touchstone, 2001. The author spends a bit too much time dealing with famous correspondent Marguerite Higgins, who is mentioned more than the rest of the press put together. Primarily concerned with MacArthur, Weintraub spends as much time dealing with MacArthur’s reaction to the sudden Chinese offensive after Thanksgiving as the actual military situation in Korea. The 8th Army’s collapse and the struggle of the Marines to survive at the Chosin Resevoir are not covered in detail, but mentioned simply to emphasize that MacArthur and his clique, including Almond, were out of touch with the situation. Since the title is MacArthur’s War, the book only deals with MacArthur’s involvement in the Korean War, therefore a reader seeking an in-depth examination of the war itself in Korea will need to read other books. However, Weintraub provides a superb look at the court surrounding MacArthur, thus revealing how the man’s gradual disconnect from reality eventually led to his humiliating removal from power. Enter the Dragon: China’s undeclared war against the US in Korea, 1950-51-Russell Spurr, New York: Newmarket Press, 1988. One of the first English-language books to deal with the Chinese side of the Korean War, the author’s access to Chinese archives and interviews with PLA senior officers and soldiers enabled him to present the Chinese perspective of the North Korean invasion. He examines the mistrust between the Soviets and the Chinese, as well as the Chinese dependence on Soviet technical assistance. His use of eye-witness testimony of drinking matches/information-fishing expeditions between Soviet intelligence officers and Chinese staff is entertaining and revealing. Descriptions of the efforts of Peng’s aides to clear spiders out of the commander’s HQ because of his deep fear of spiders help make everyone more human, and high-level meetings between the top Chinese communist leaders reveal both the lack of unity and the political in-fighting that seems to accompany any group of leaders. He also shows that there was a fair amount of grumbling among the Chinese volunteers, many of whom were aware that they were not getting enough food. Spurr unfairly calls Walker’s retreat from the Chinese “the longest, most disgraceful retreat in U.S. military history,” ignoring the fact Walker had been forced to advance faster than he had wanted and was now struggling to save as much of his army as possible by organizing a retreat from its exposed positions where divisions were separated by far too much distance to support each other. Since the book is about the Chinese perspective, the UN side gets less attention, and is limited to the basic narrative and the strategic decisions made by the senior commanders. The description of a Chinese liaison officer travelling along a road for miles looking at thousands of porters, PLA soldiers and Korean refugees frozen where they stood, like snowmen created by a deranged lunatic, is chilling. The frankness and mounting disillusionment that appears during the remembrances of the Chinese officers and soldiers make the book worth reading, even if it is a bit out of date. The War for Korea, 1950-1951: They Came from the North-Allan R. Millett, Lawrence, Kansas: The University Press of Kansas, 2010. This book is not for the general reader. Millett’s research is impressive, and he is to be praised for his attention to the ROK army. However, the book is almost completely devoid of interviews with participants or personal accounts that would have given it more flavor. Most books on the Korean War relied on interviews with junior officers, senior NCOs and soldiers, which share a common theme, deep anger at the wasted lives caused by incompetence in the senior leadership. Instead, Millett relies primarily on documents, archives, oral memoirs and interviews with senior officers, which explains why he rarely criticizes any generals and his dismissal of the idea that American soldiers frequently panicked at the beginning of the war. He is the first writer that I have come across who has defended Ned Almond. 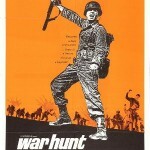 Although he does admit that his view of the war is different than most historians because he relied mainly on archives. The author has spent numerous summers in South Korea, and his familiarity with the terrain, weather patterns and people are evident throughout his writing. 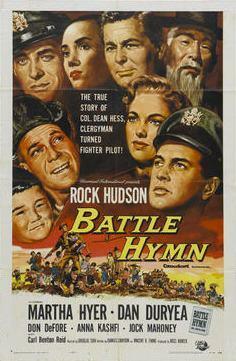 In fact, he works hard to show how the Koreans on both sides fought in the Korean War. Breakout: The Chosin Reservoir Campaign, Korea 1950-Martin Russ, New York: Penguin, 2000. Russ states that MacArthur can be forgiven for his confidence that China would not intervene in the war, since the Pentagon, State Department and White House had all ignored Chinese threats, forgetting that they had done so on the basis of MacArthur’s recommendations, since he was the man on the scene with all of the experience in Asia. However, he gives a richly detailed account of the retreat from the Chosin Reservoir, especially since he was a Marine and was wounded during the campaign. Most important, Russ provides a scathing analysis of Almond’s near-fatal mix of aggressiveness and incompetence, while giving due credit to O. P. Smith, whose steady caution saved the Marines from massacre. Chosin: Heroic Ordeal of the Korean War-Eric Hammel, St. Paul, Minnesota: Zenith Press, 2007. Since the book was written in 1981, Hammel did not have access to the records available to later writers. While he admits that the American and UN senior commanders had dismissed the clear evidence of a Chinese invasion presented by their admittedly weak intelligence departments, he does not mention MacArthur by name, even though he was the official commander. Hammel is a military historian and the bulk of the book deals with the men on the front-lines. Brief summaries of each commander, from regiment down to platoons, are provided, and he presents the full scope of the battle, unit by unit, but the detail is overwhelming. Hammel excels at making the reader feel that he is in the middle of the action, but less attention is devoted to giving a strategic overview of the battles. As a result, the book is better suited for the specialist or someone already familiar with the retreat from the Chosin Reservoir, not the general reader. 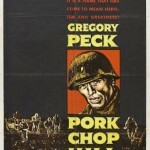 Pork Chop Hill-S.L.A. Marshall, New York: Berkley Caliber Books, 2000. The author had interviewed the troops that had survived the battles at Pork Chop, Dale and Arsenal immediately afterwards. Roughly seven and a half hours were spent with each company, which consisted of him taking non-stop notes. Since the events were still fresh in the soldiers’ minds, Marshall was able to establish the chronological order of events and how the soldiers had reacted to each attack. Marshall had developed the method of gathering all of the participants in a battle afterwards as a group ten years ago, and he had discovered that starting at the beginning of the battle and progressing in chronological order countered the confusion of a battle, thus enabling him to gain a clear picture of events. The method is incredibly successful, and he shows the entire progress of the battle, as well as the perspective of all of the participants. 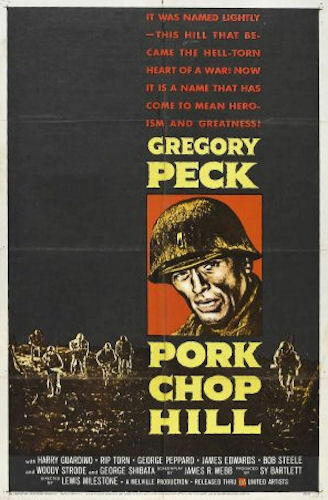 Two thirds of the book deals with the fighting on Pork Chop Hill, and the remainder presents brief accounts of the experiences of several patrols to show the confusion that occurred far too often in the dark. Two of the accounts deal with patrols from Ethopian battalions, who are compared favourably with American units. The other accounts examine patrols by American soldiers, and they share a common theme. The rocky terrain made it impossible for small units to establish easily defended perimeters and American troops often became disoriented moving along unfamiliar hilly terrain in the dark, which led to confusion and men getting lost. Most important, the darkness made it possible for Chinese units to move around them and either surround the unit or hit units that thought they were safe in the rear of a patrol. 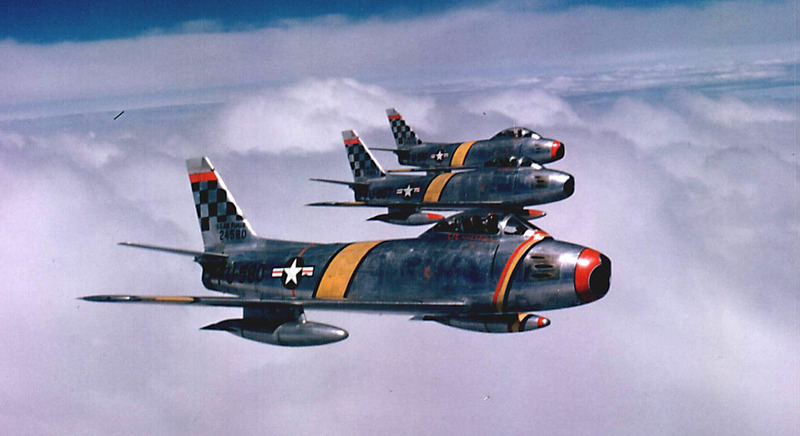 Sabres over MiG Alley: The F-86 and the Battle for Air Superiority in Korea-Kenneth P. Werrell, Annapolis, Maryland: Naval Institute Press, 2005. 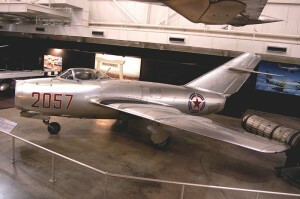 Clearly a devotee of the Sabre, Werrell provides a solid background to the development and introduction of both the Sabre and its opponent, the MiG-15. Since the book is about the Sabre, there is little discussion about the bombing missions conducted in support of the infantry or on important targets, unless they involved the Sabre. Roughly a quarter of the book focuses on the aces, giving brief histories of all of the pilots who became aces during the Korean War and other notable Sabre pilots. There are few books on the aerial part of the Korean War, so it is a valuable source for aviation enthusiasts or people interested in the Korean War, but it is not meant for the general reader. Red Wings over the Yalu: China, the Soviet Union, and the Air War in Korea-Xiaoming Zhang, Texas A & M University Press, 2002. 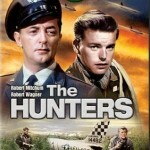 The author points out that the lack of access to Chinese and Soviet archives meant that previous writers on the air war in Korea naturally relied on USAF archives and eye-witness testimony of American pilots, which led to the common belief that USAF pilots had dominated the skies in Korea with an admirable 7:1 kill ratio over Communist pilots. Full access to military archives in the Soviet Union and China is still impossible, but Zhang has produced an excellent book on the challenges facing the PLAAF when China entered the Korean War. He provides a brief background of the development of air power in China to explain why the Chinese air force started the war at such a disadvantage. The book is an invaluable presentation of the Chinese perspective, thus broadening the view of the air war to incorporate both sides. That is comprehensive! Thank you. Thanks, it was a lot of work. I wondered what you would think about it as a resource. I am not looking forward to the WWI document, which will be much harder.